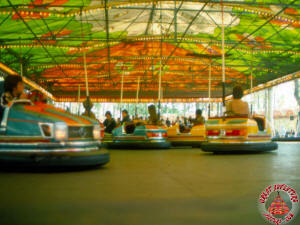 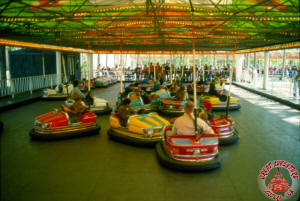 Bumper cars have long been a staple of carnivals, amusement parks and theme parks around the world, and the ride manufacturers developed a modern version of the traditional "Dodge 'em" cars which was portable and available in varying sizes. 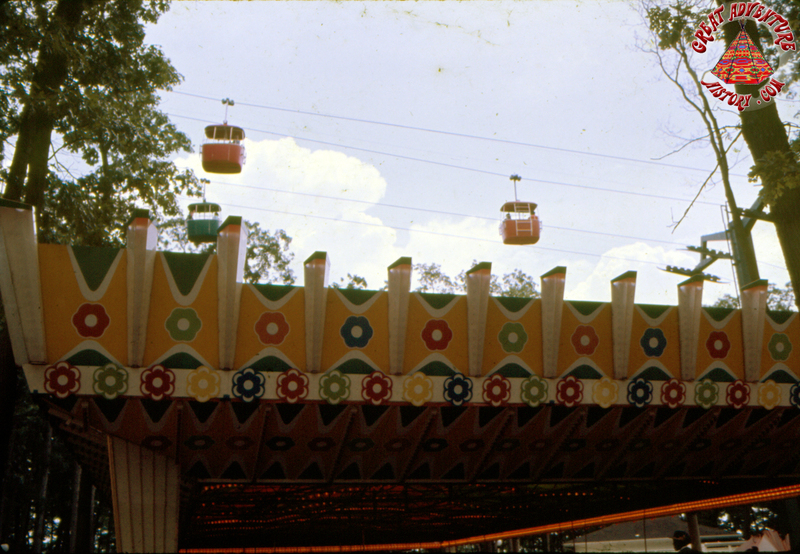 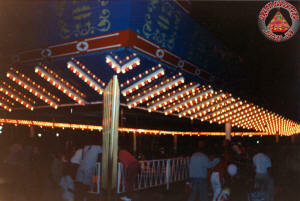 These rides were colorful and usually featured elaborate lighting to draw attention to them. 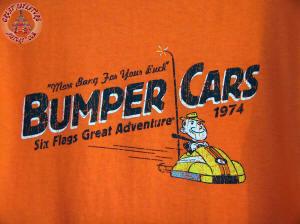 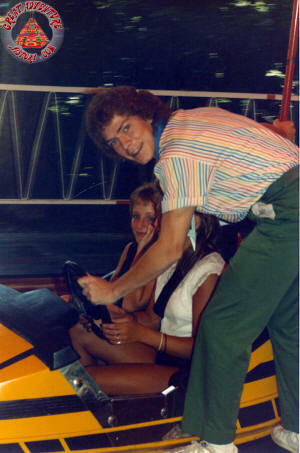 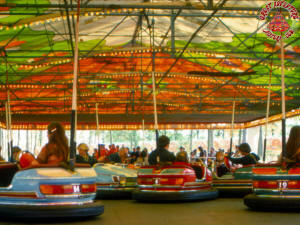 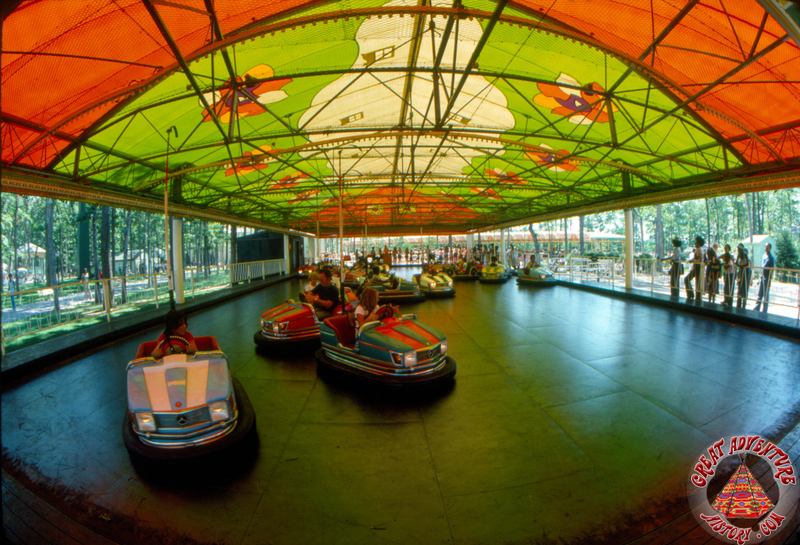 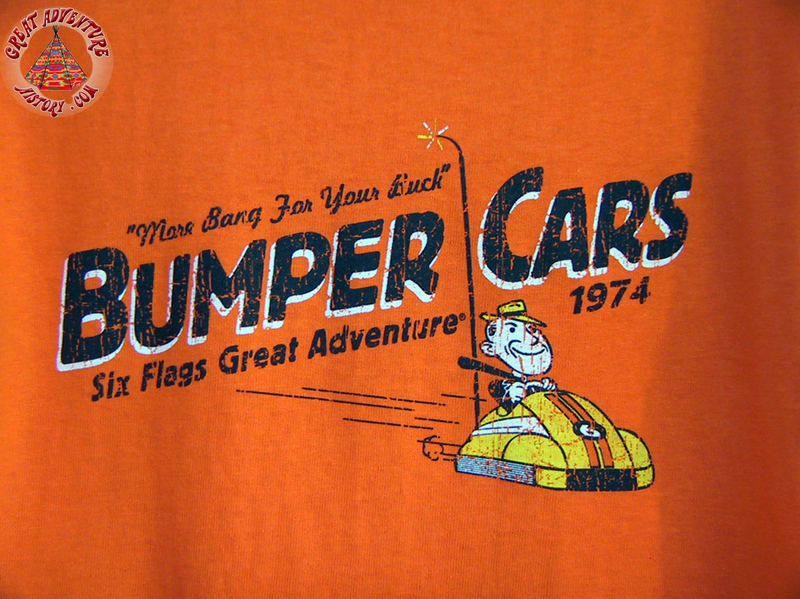 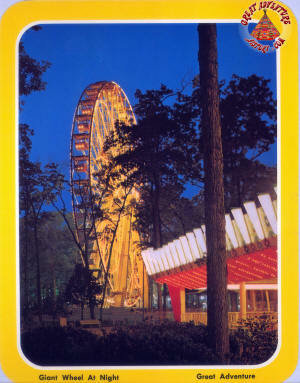 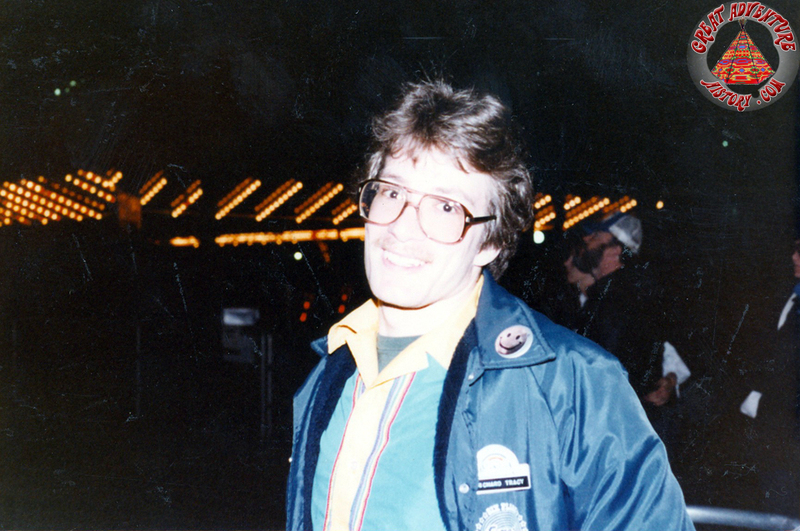 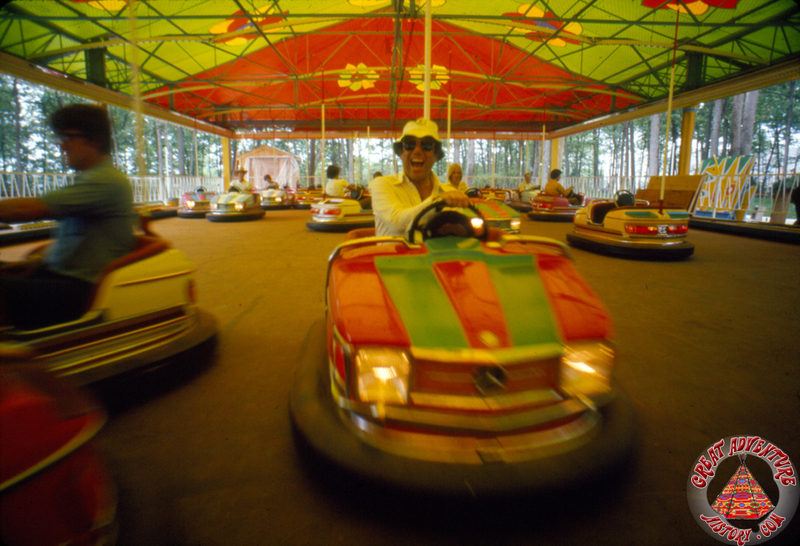 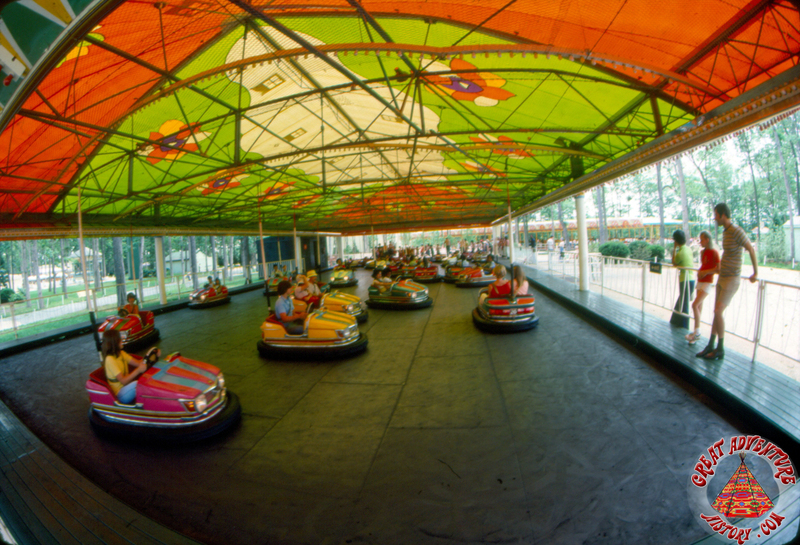 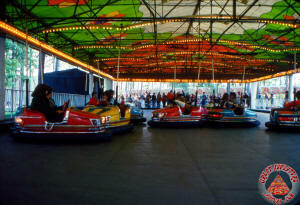 Warner LeRoy wanted everything at Great Adventure to be the biggest and best, so the park's Traffic Jam bumper car ride was the biggest in the world when it opened in 1974. 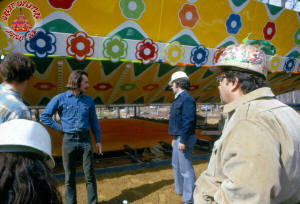 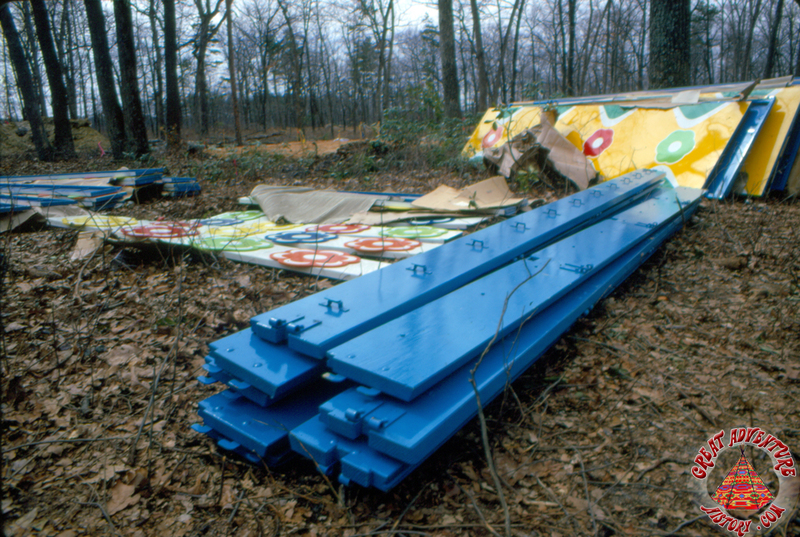 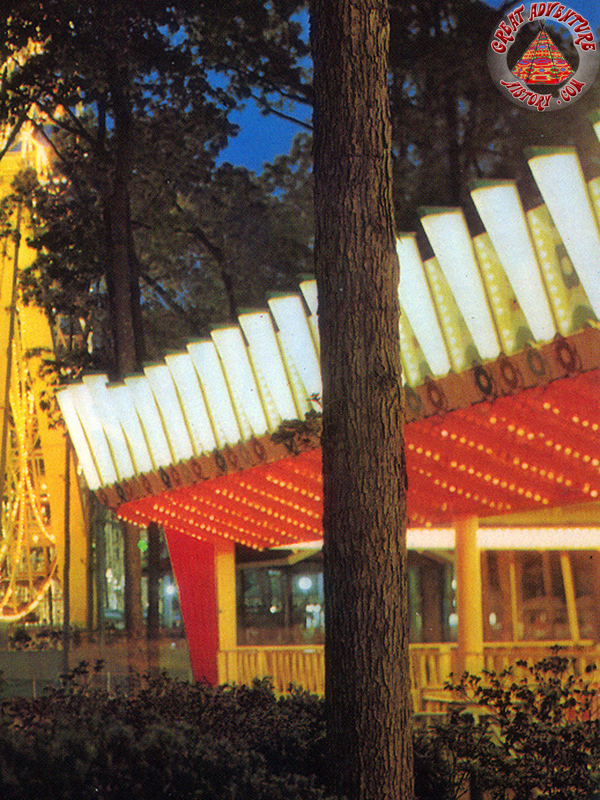 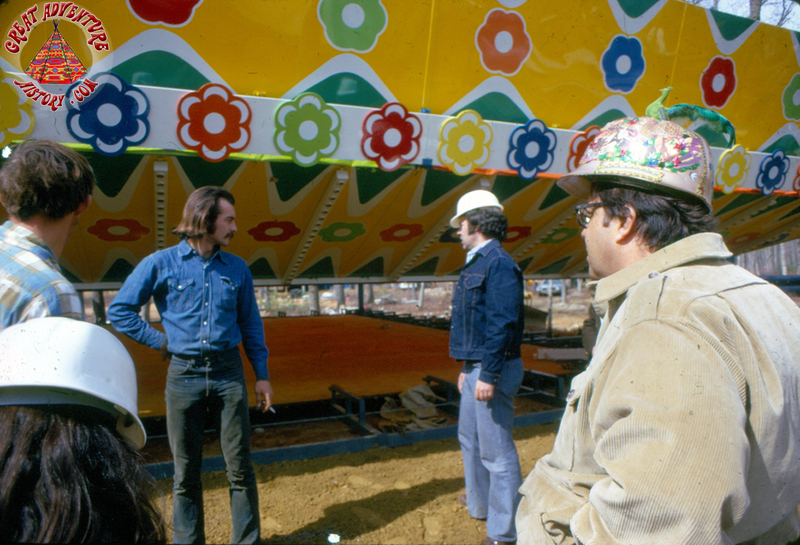 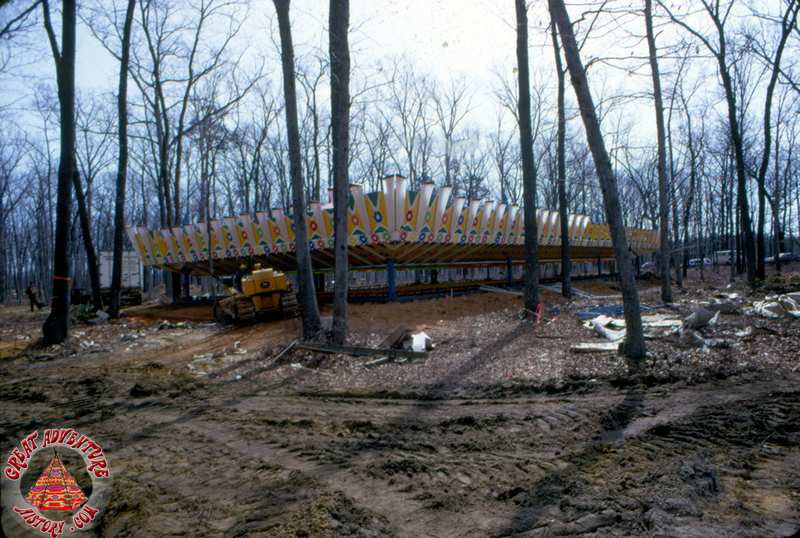 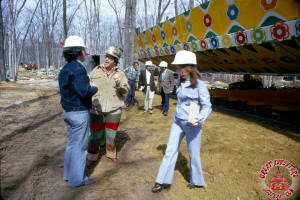 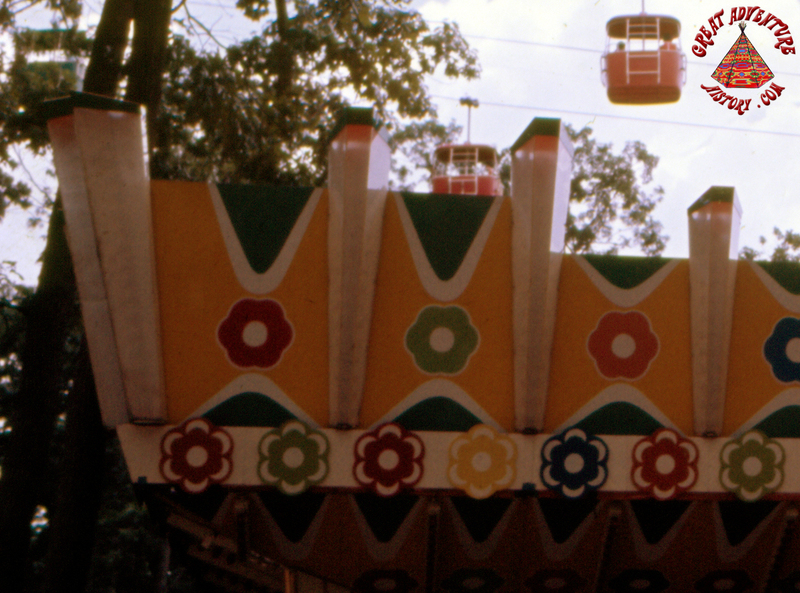 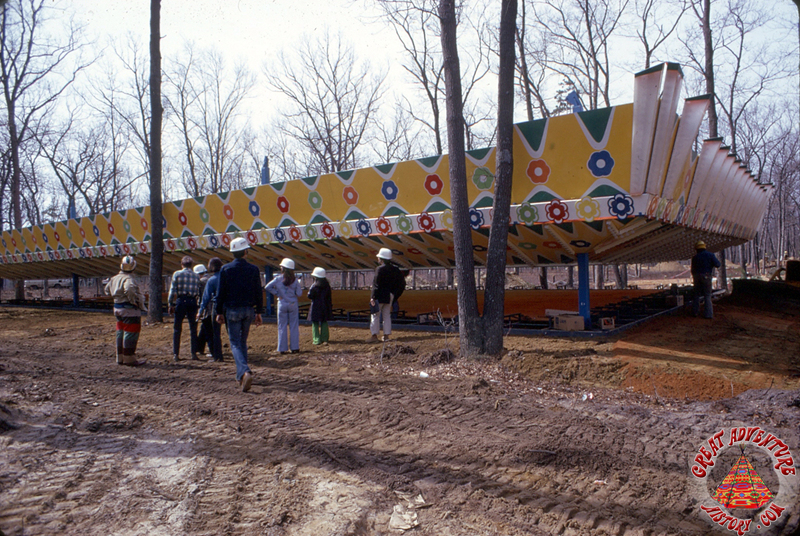 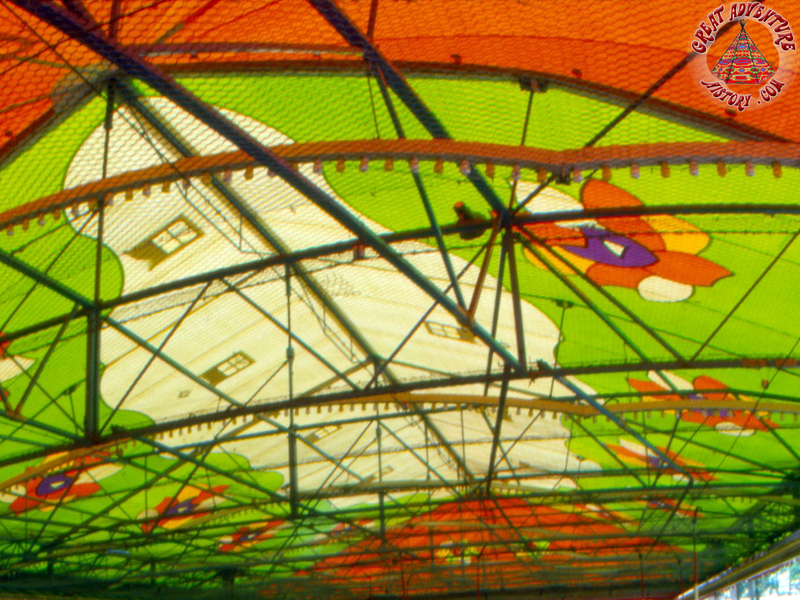 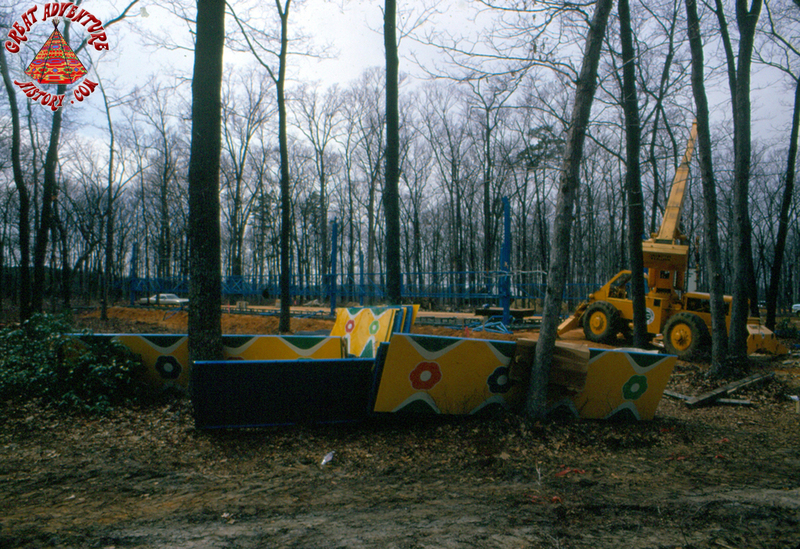 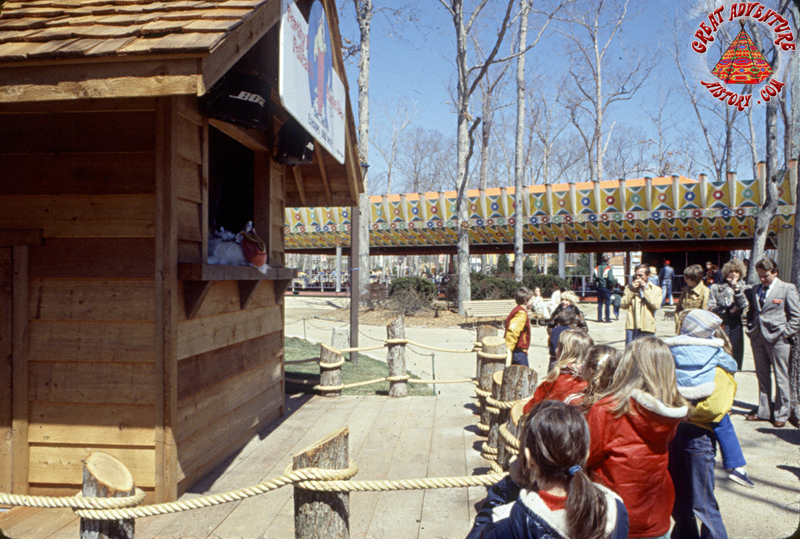 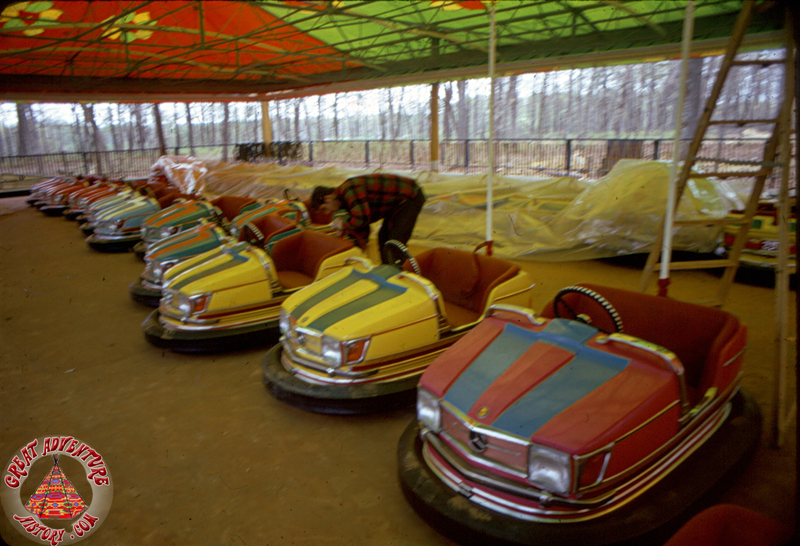 One of the most colorful structures of the Enchanted Forest was the Traffic Jam bumper cars which featured brightly colored roof pieces that stood out against the trees during the day, and an array of bright lights after dark. 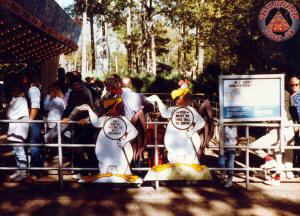 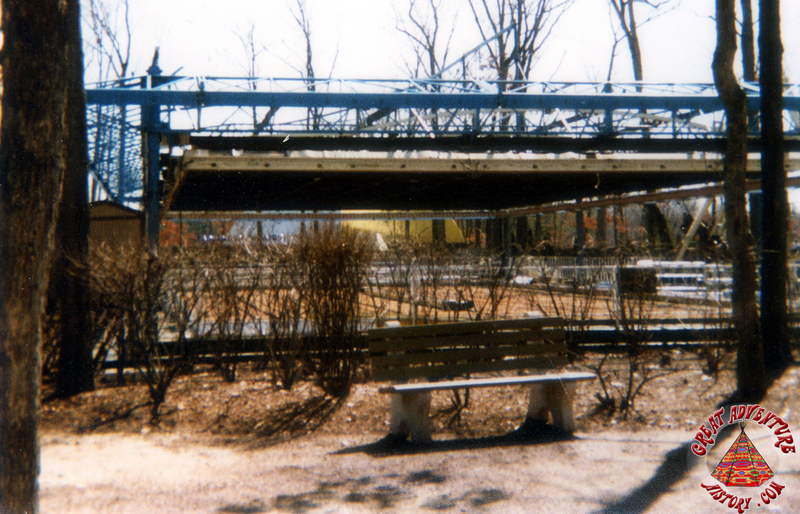 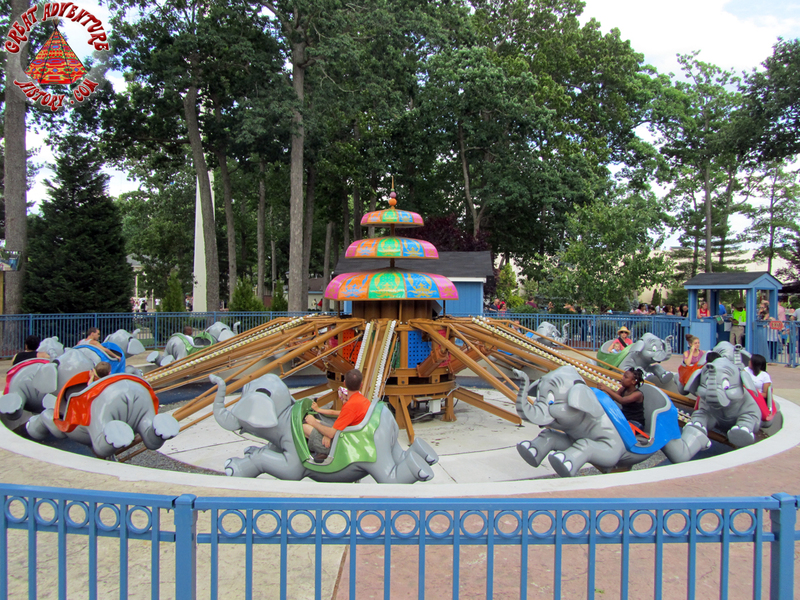 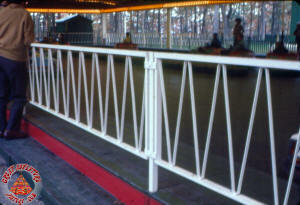 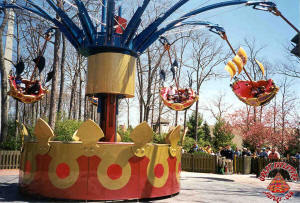 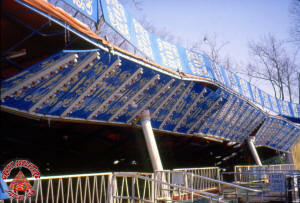 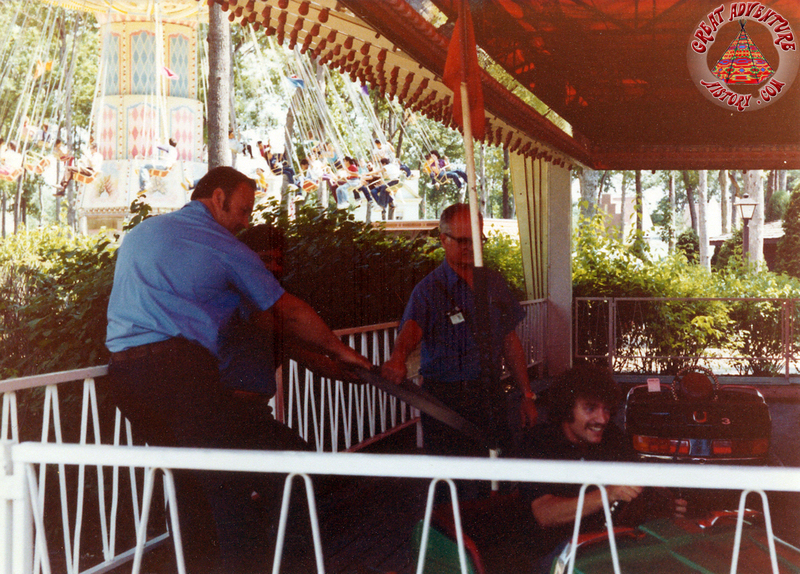 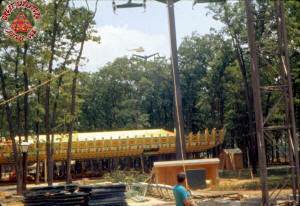 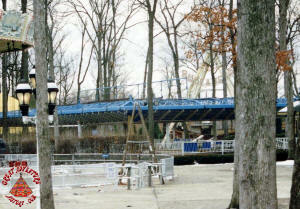 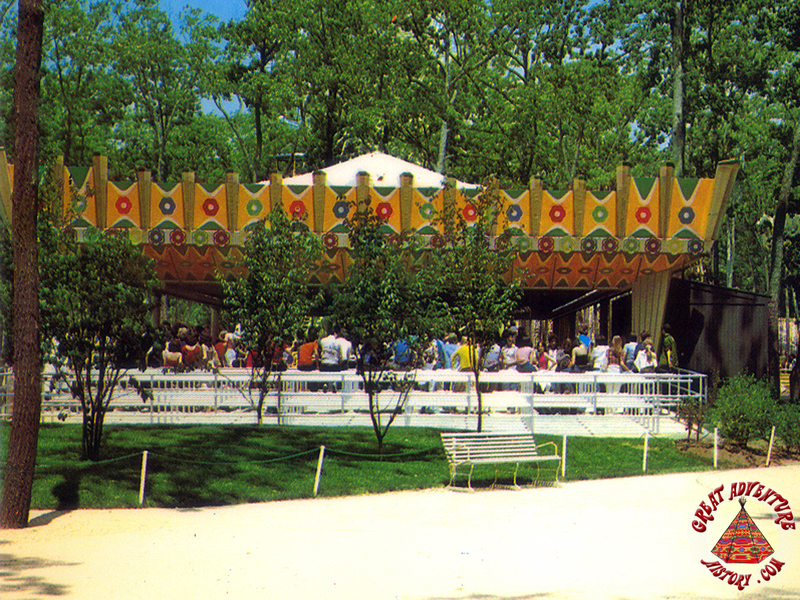 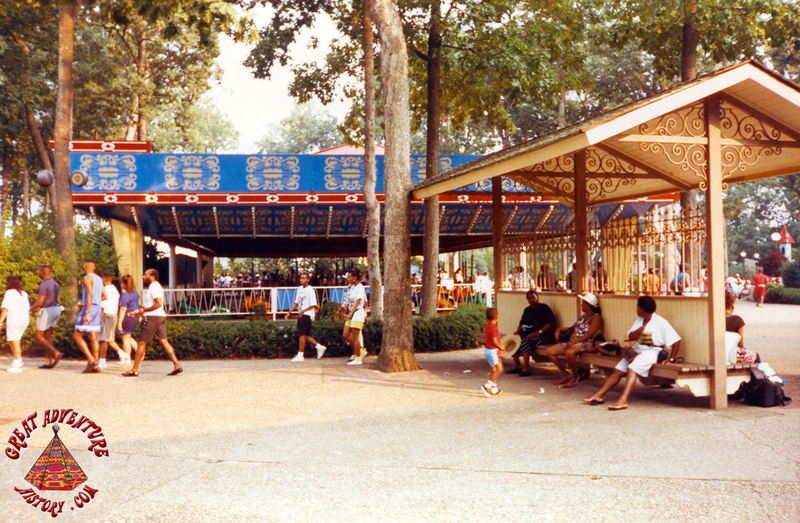 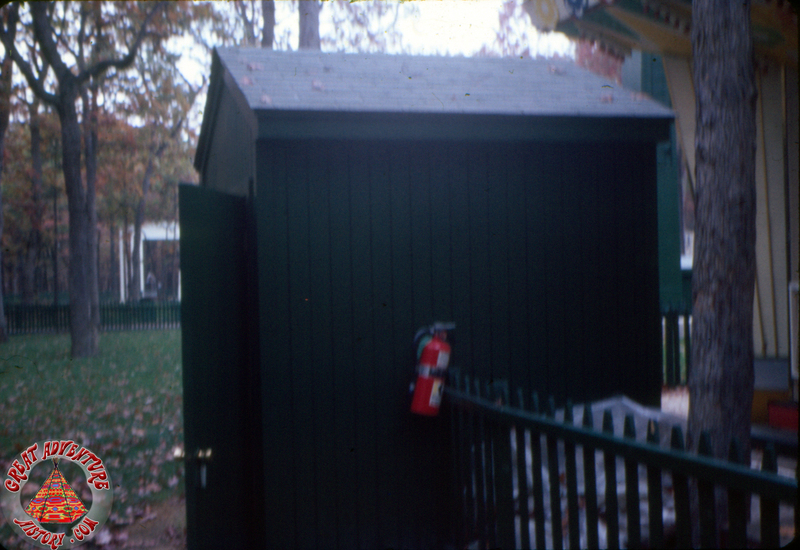 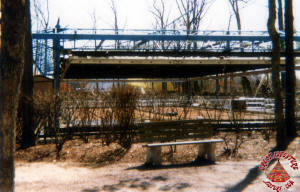 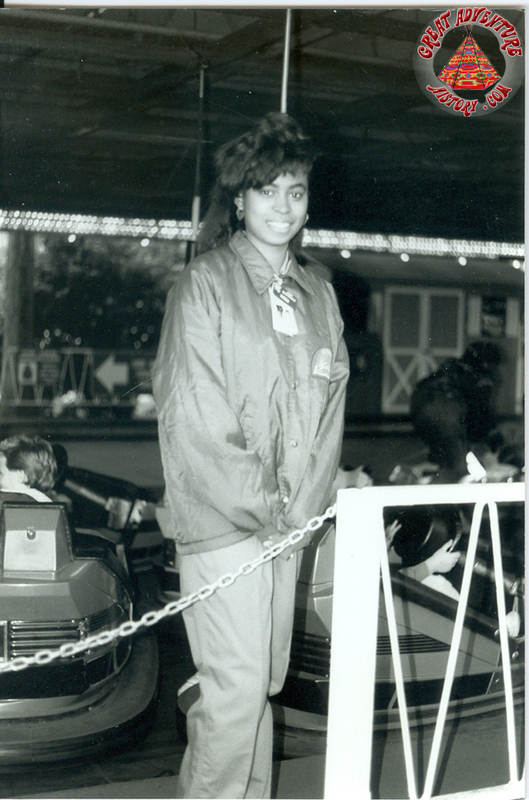 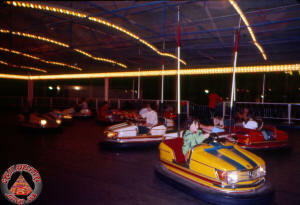 The ride was a portable model which like many of the park's original rides was built by Schwarzkopf. 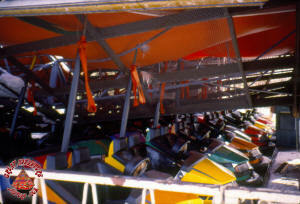 The building was enormous and featured dozens of colorful cars. 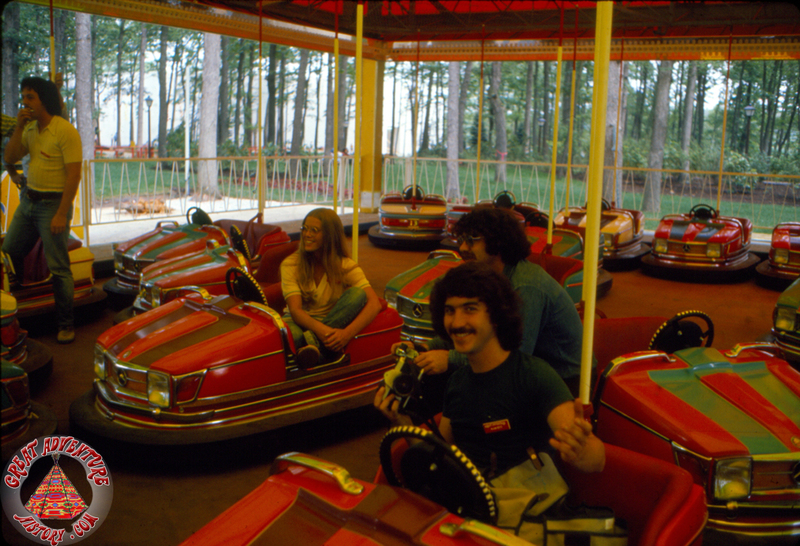 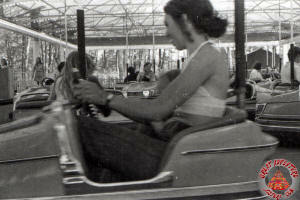 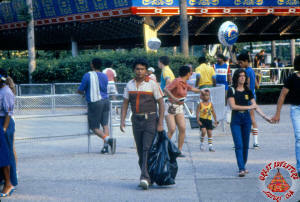 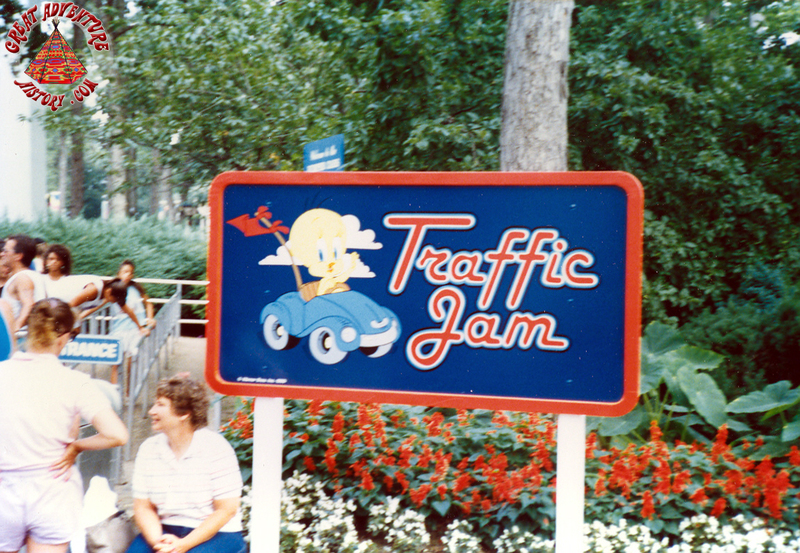 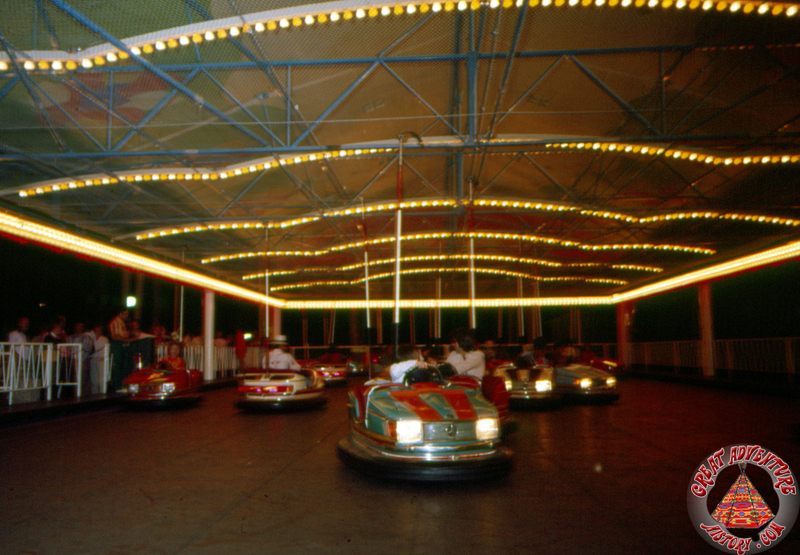 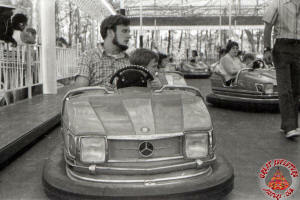 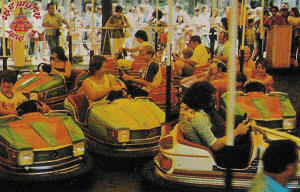 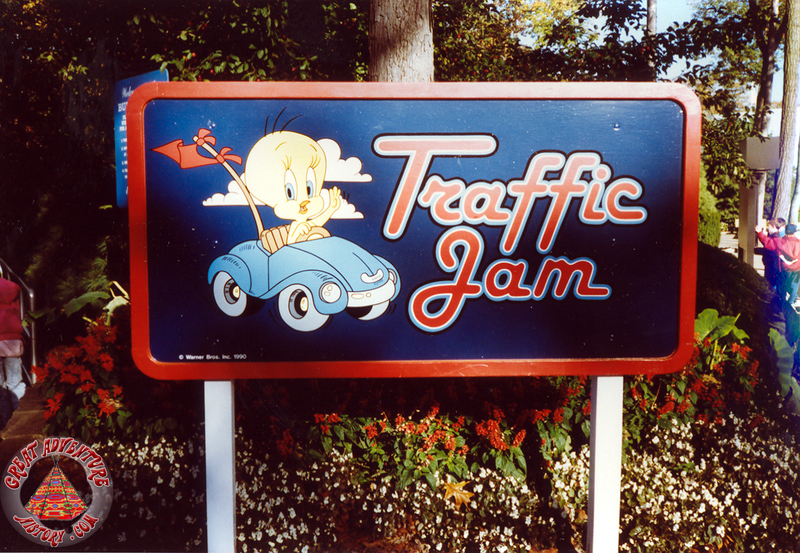 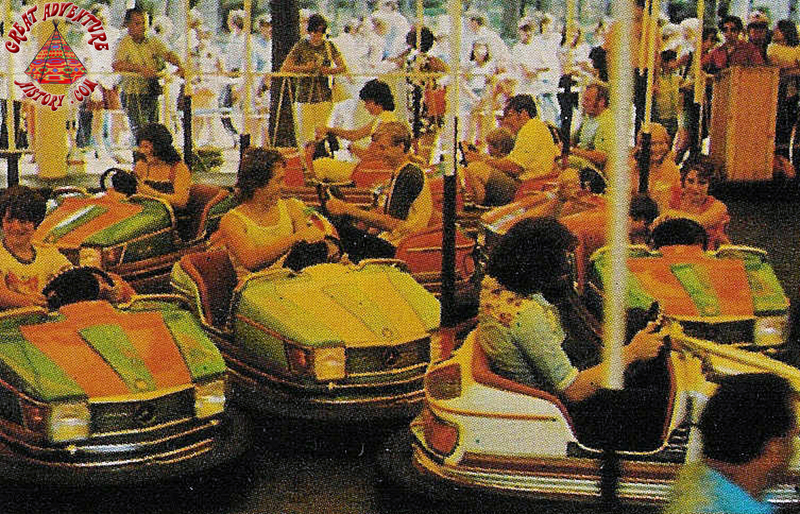 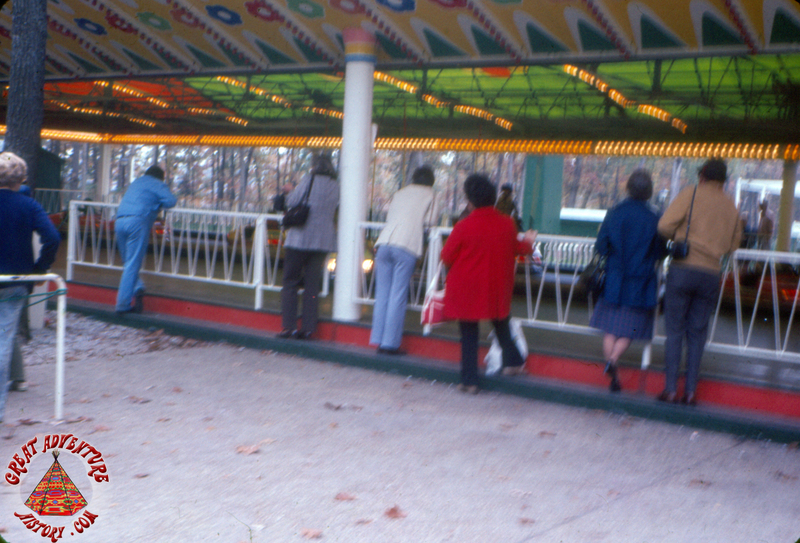 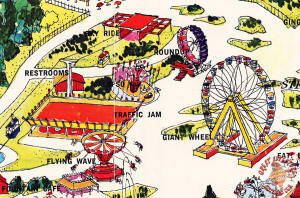 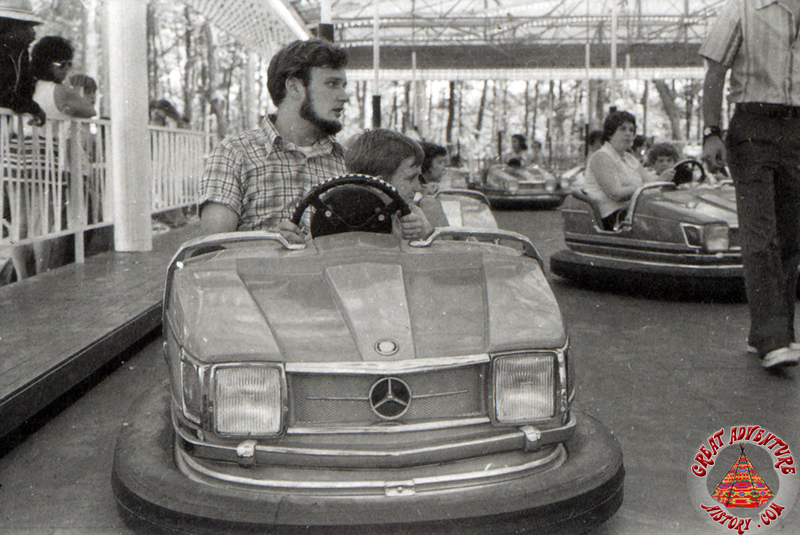 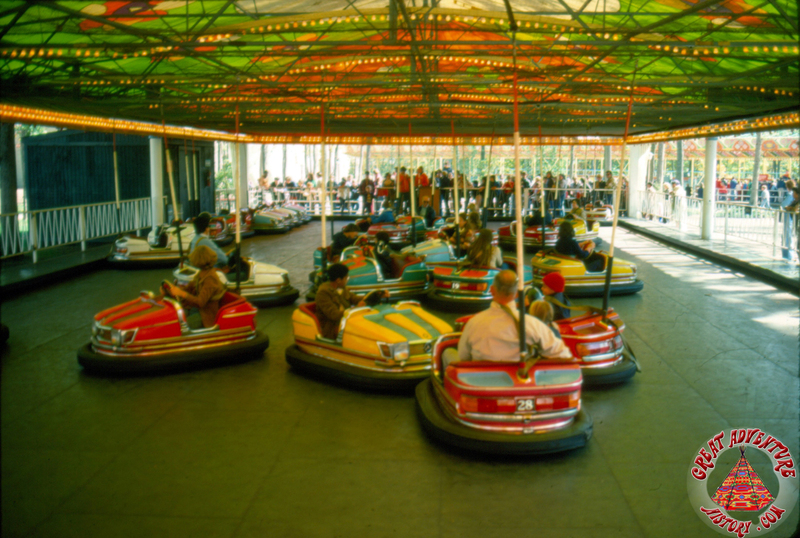 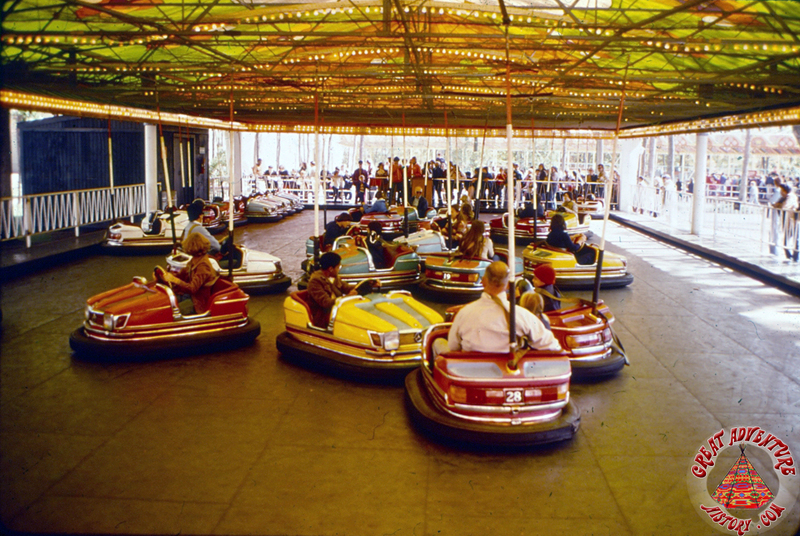 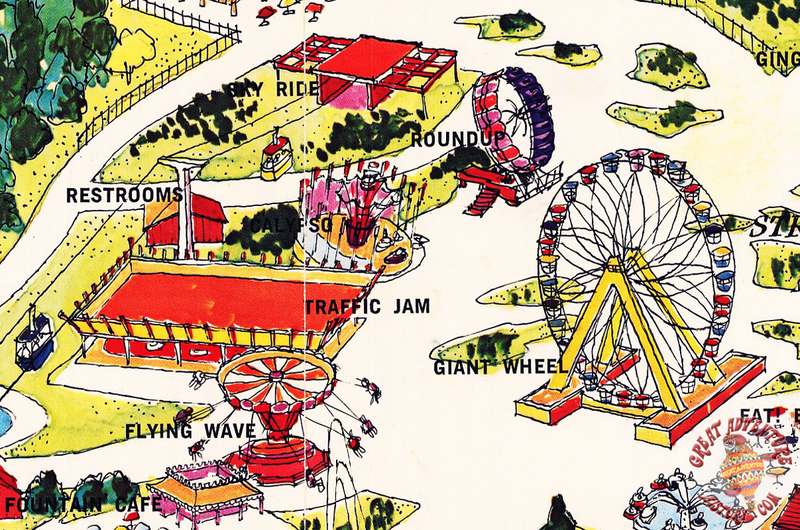 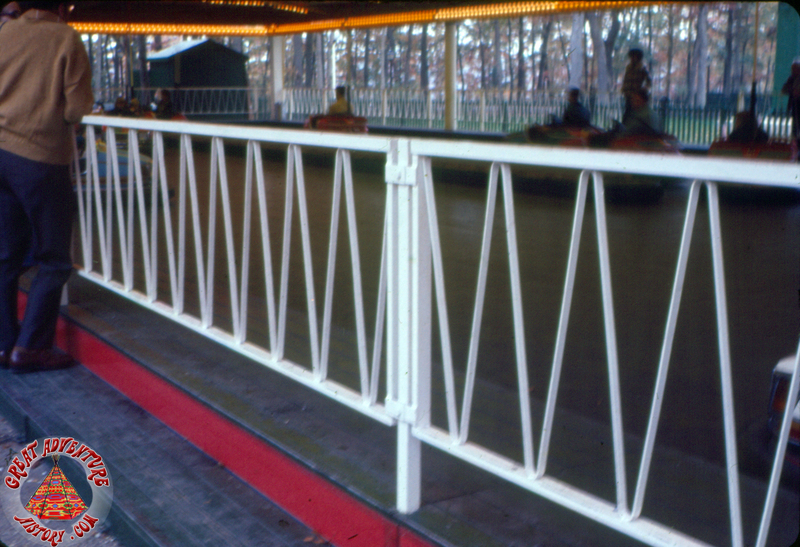 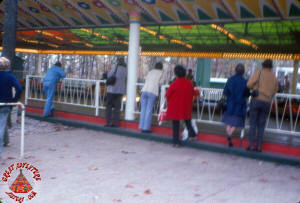 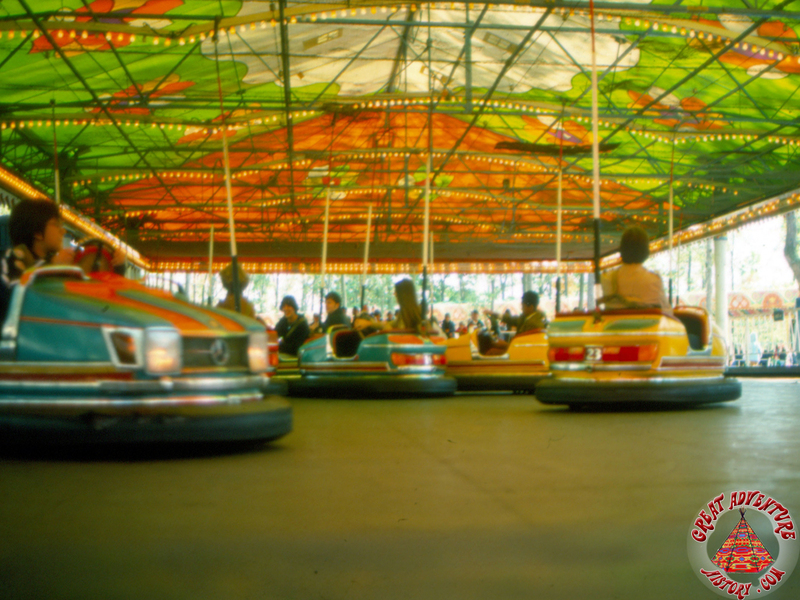 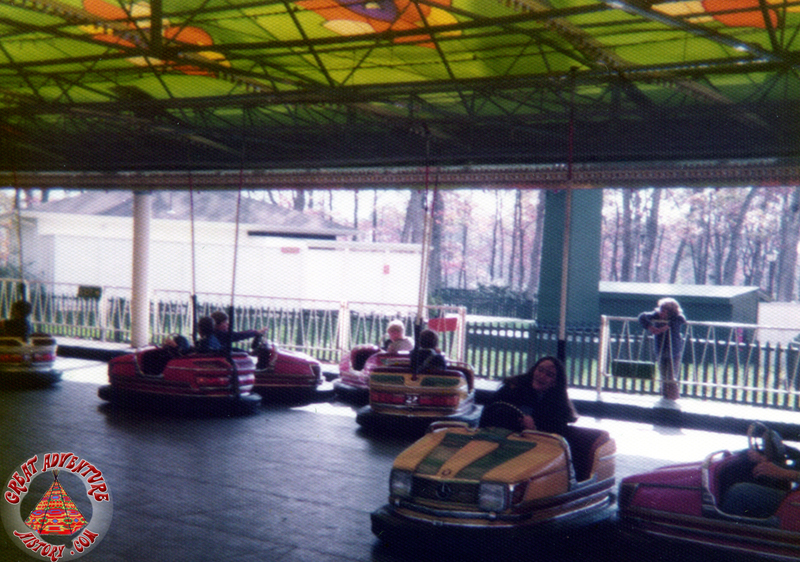 Traffic Jam quickly proved to be one of the most popular rides in the park, and as a result a second (and even bigger) bumper car ride was added in 1975. 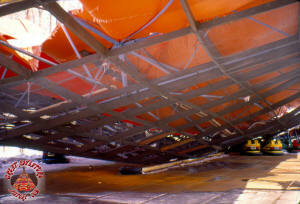 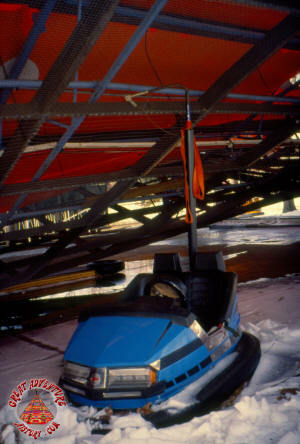 The ride was designed for portability, with a roof structure that could be raised or lowered for easier assembly and disassembly. 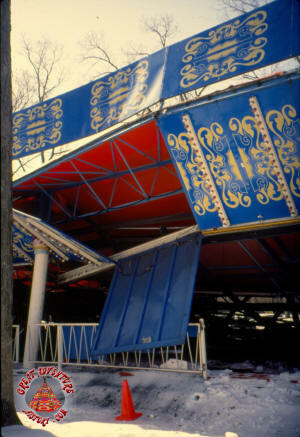 The roof was lowered and the canvas removed each winter to protect the structure from collapsing under the weight of snow. 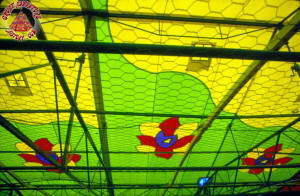 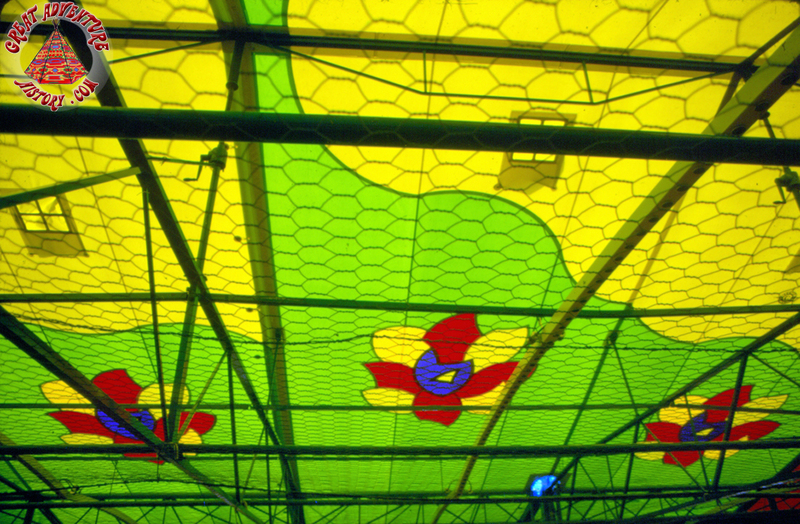 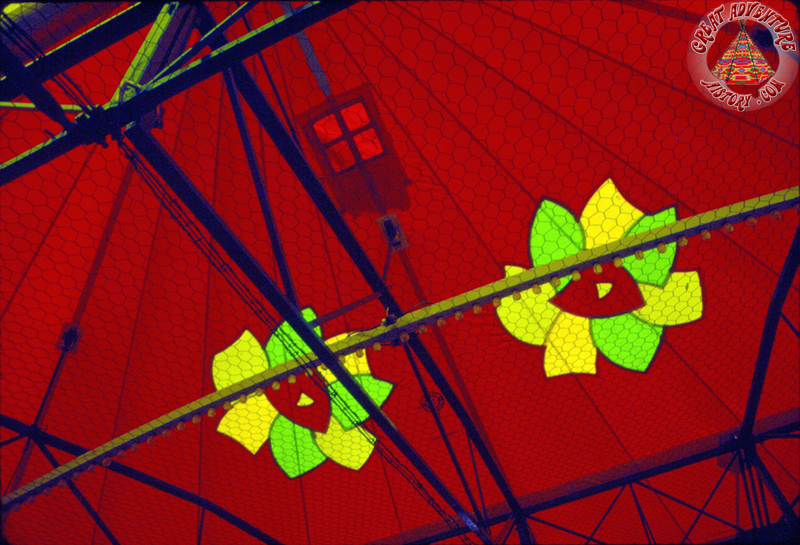 Over the seasons modifications to the ride included the addition of a center "island" to the ride, limiting the speed at which the cars could collide, and replacement of the colorful panels surrounding the roof, replacing the the original yellow flower designs with a more generic blue and red design. 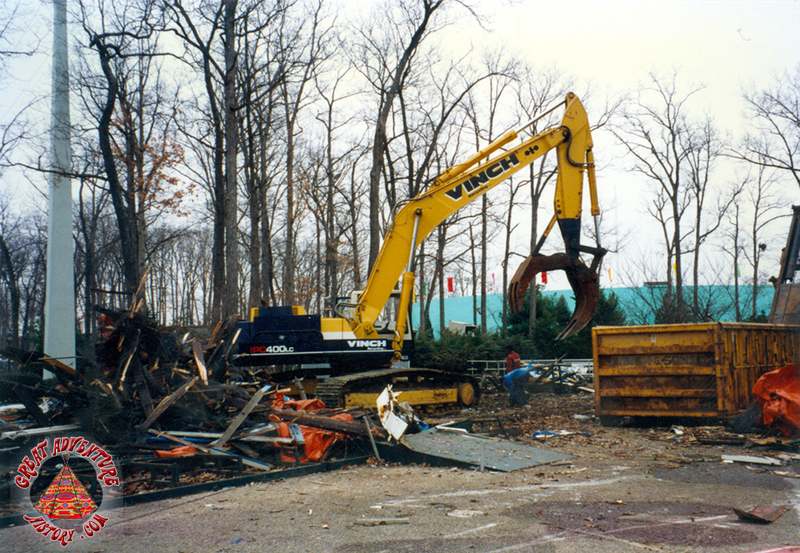 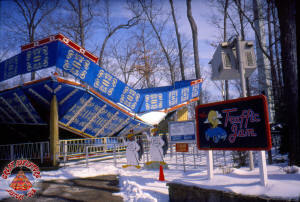 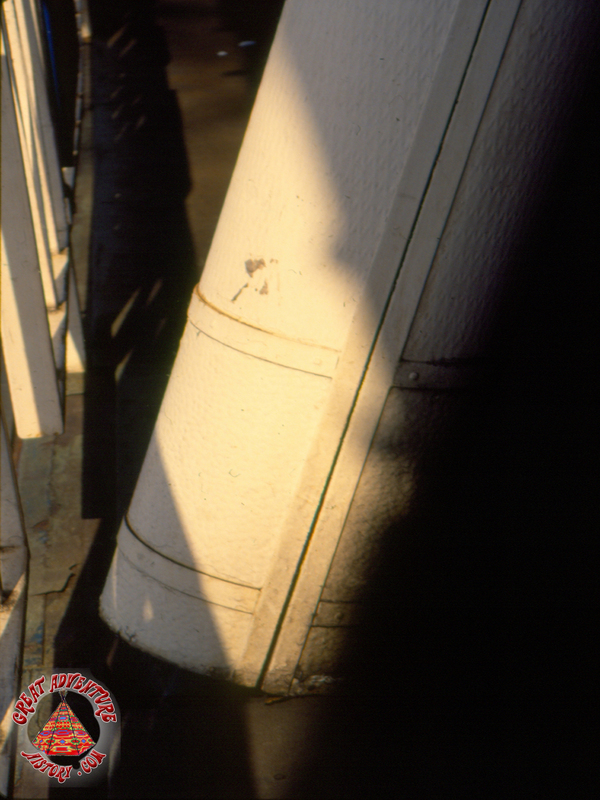 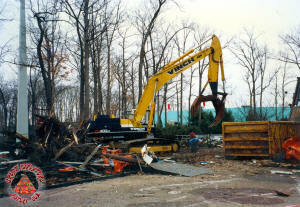 In March of 1993, just as preparations were underway for the start of a new season, a blizzard hit the park and the Traffic Jam was destroyed by the ice, snow and winds. The "Blizzard of '93", also known as the "Superstorm '93" and the first coined "Storm of the Century" during the 1990's, was an extremely intense nor'easter which impacted New Jersey with a wide variety of hazardous weather. 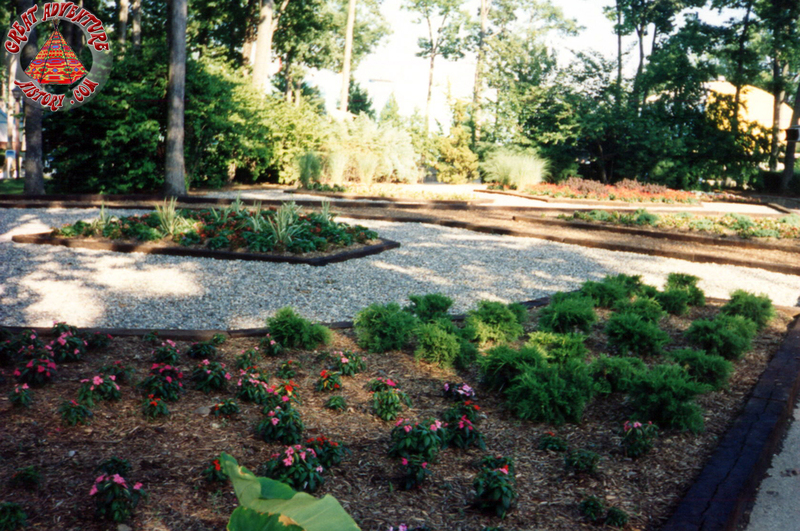 The low center was born in the Gulf of Mexico and then moved from southeastern states northward along the Atlantic coast, through central New Jersey and then northeastwards into New England. 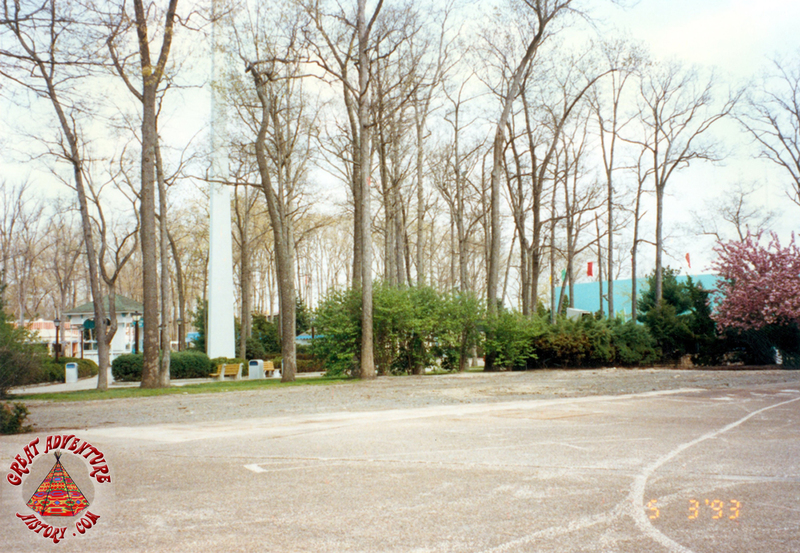 It deepened rapidly and had a record low minimum central pressure of 28.38 inches of mercury (961 millibars), which occurred at almost the same time as it passed over New Jersey. 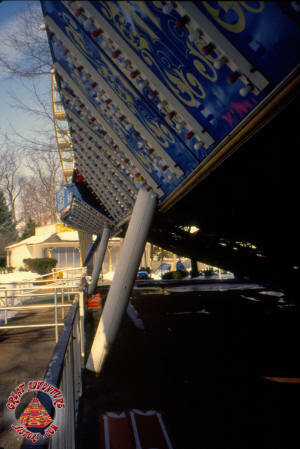 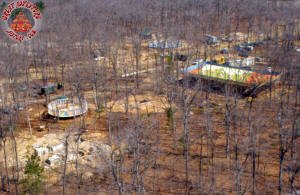 It was one of the most powerful storms (tropical or extratropical) to hit New Jersey on record." 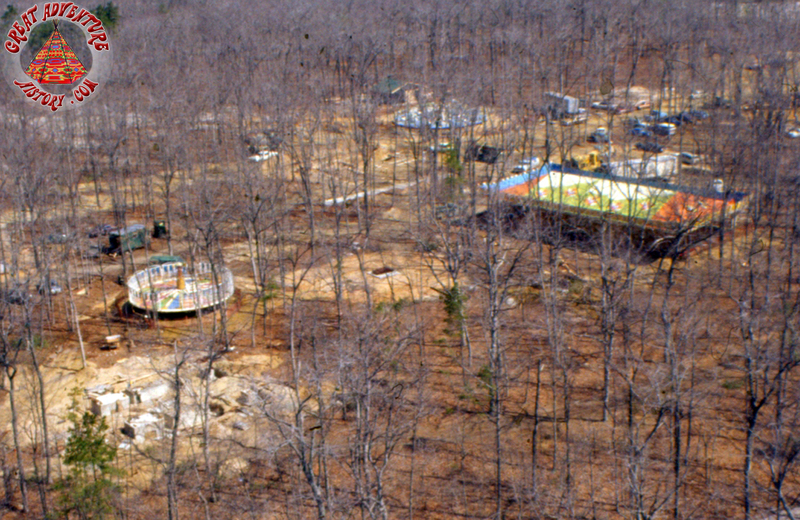 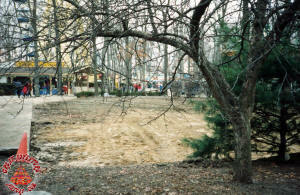 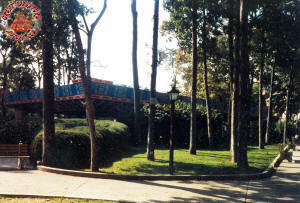 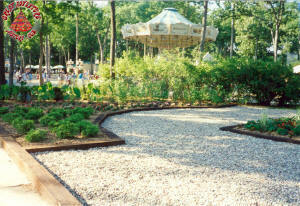 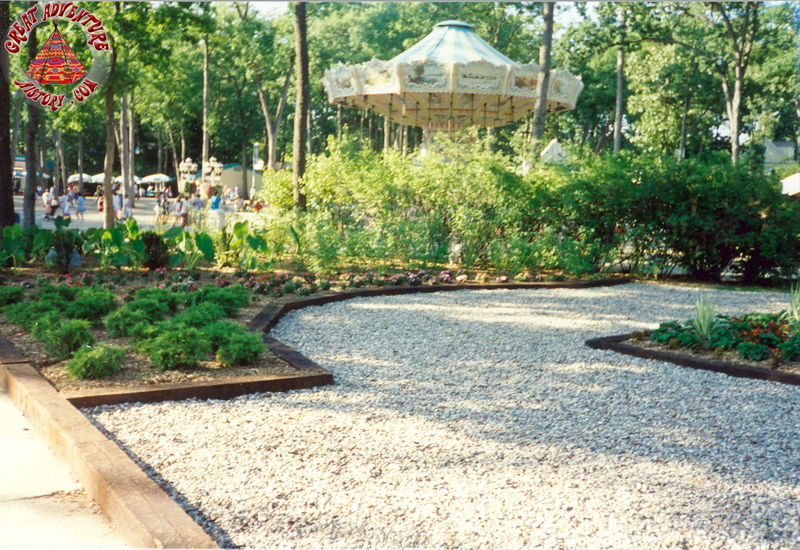 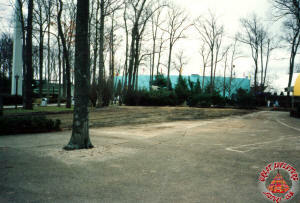 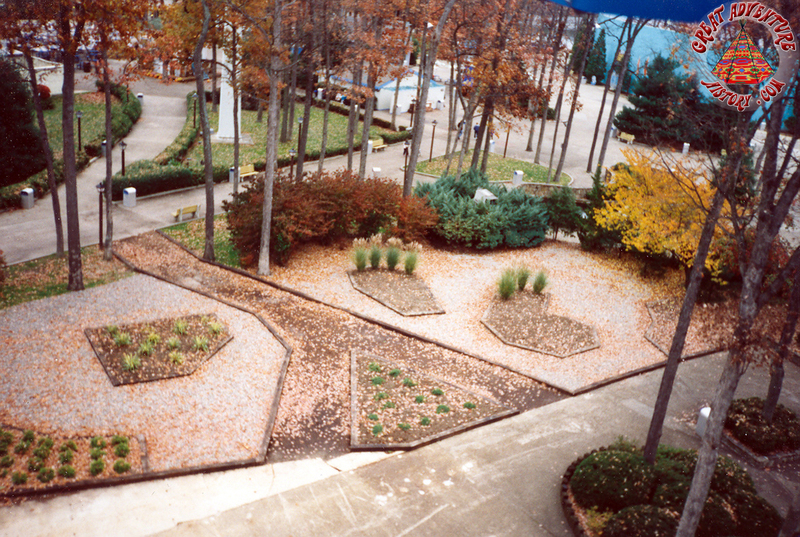 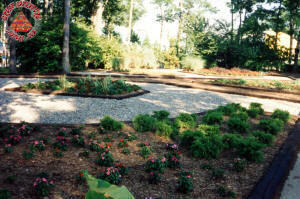 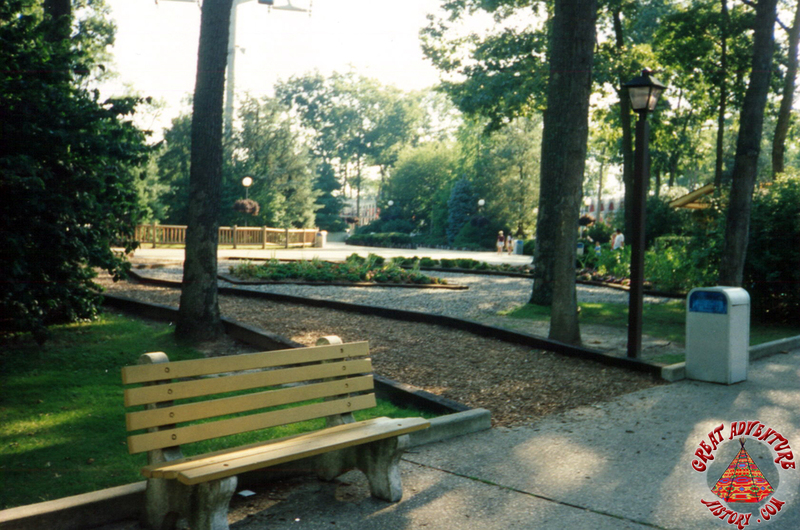 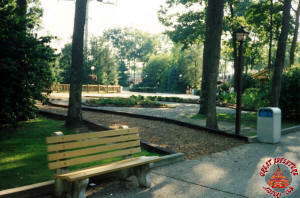 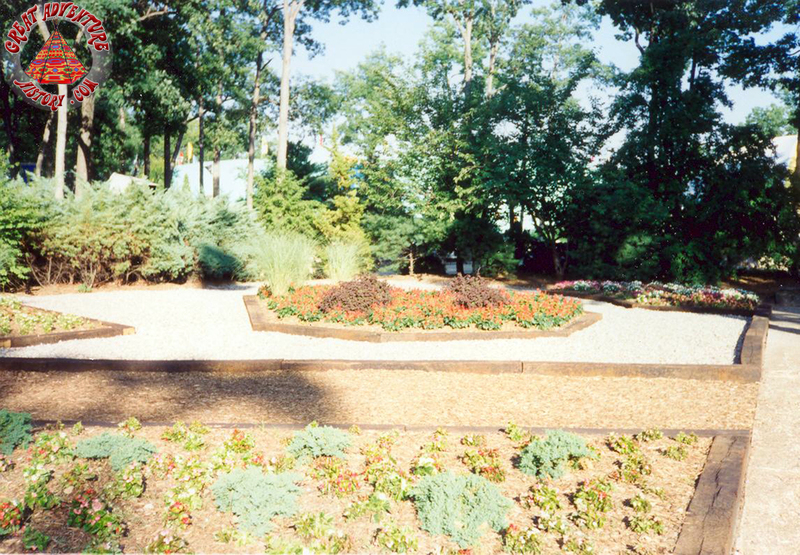 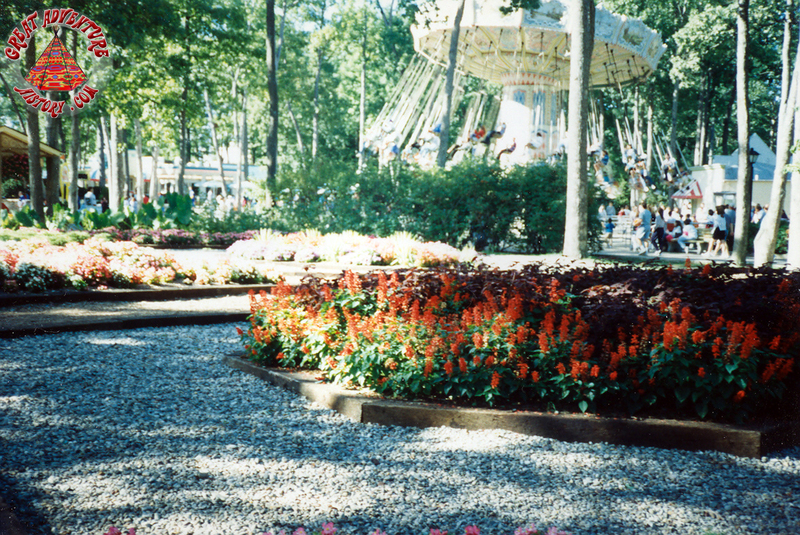 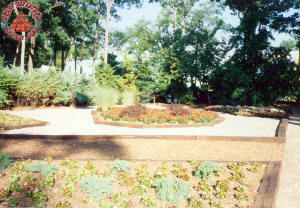 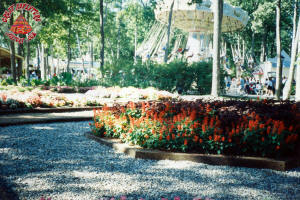 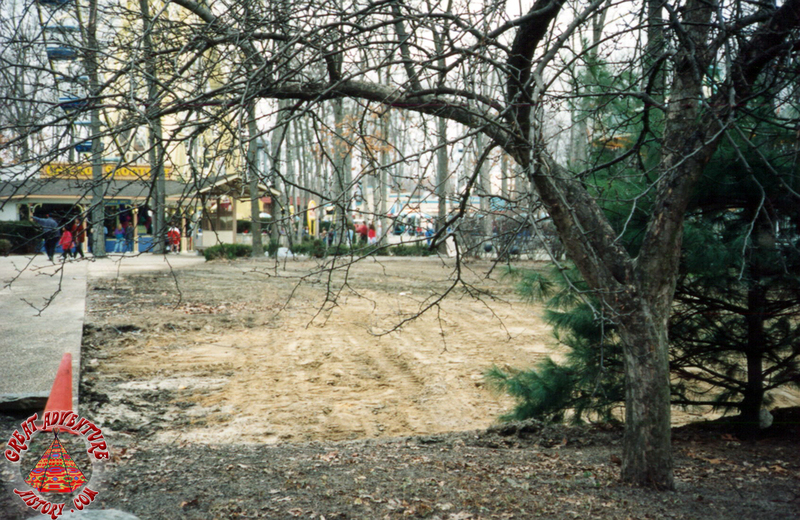 The former location of the Traffic Jam ride was quickly turned into a garden which remained until 1999 when the Pirate's Flight ride took over part of the site. 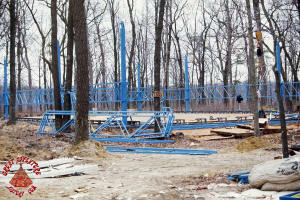 Today Air Jumbo occupies Traffic Jam's former ride pad. 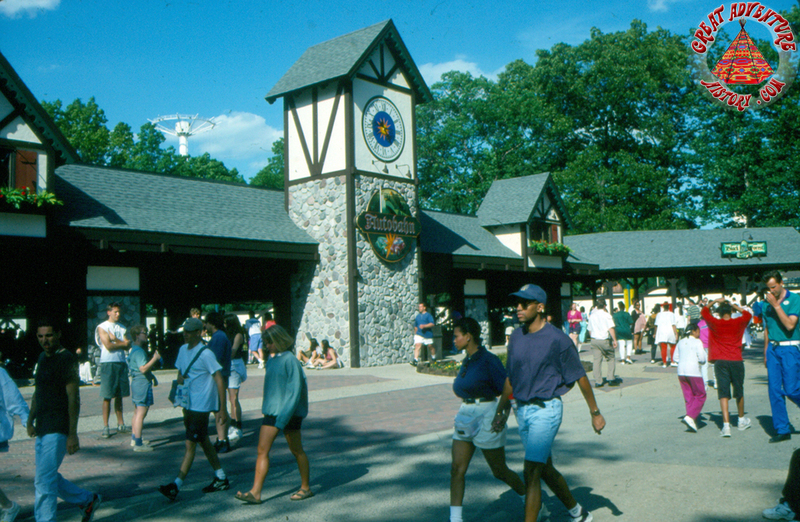 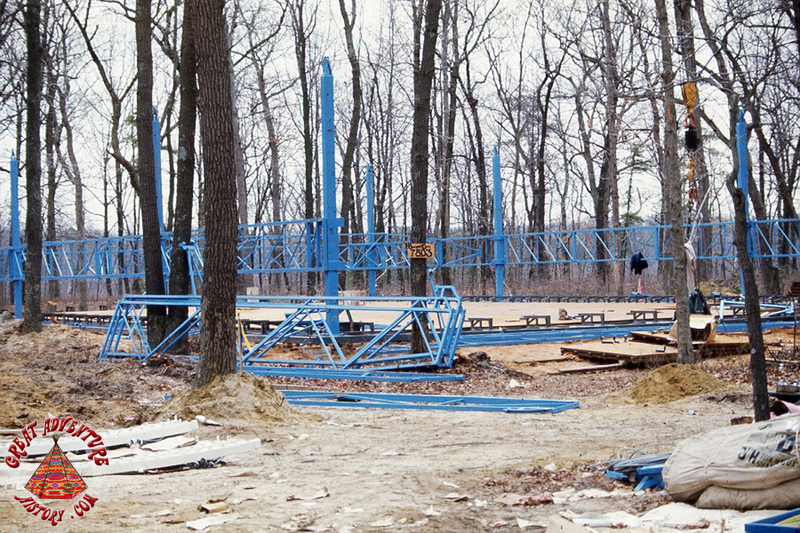 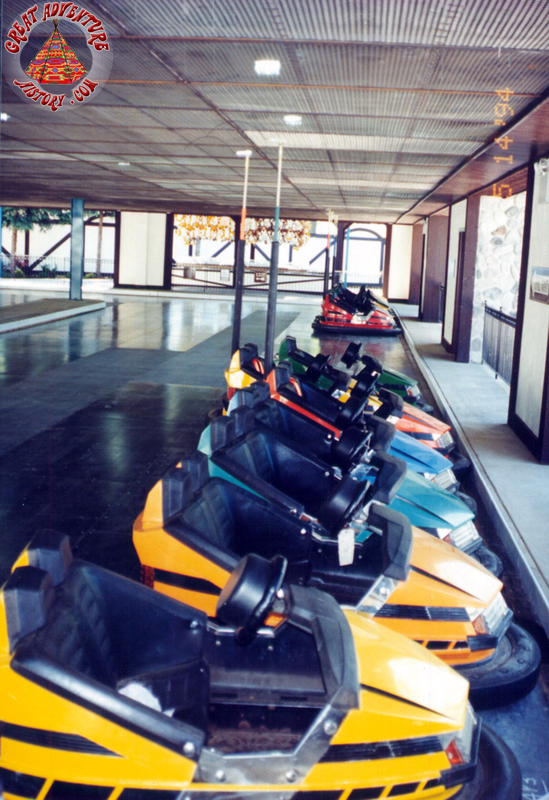 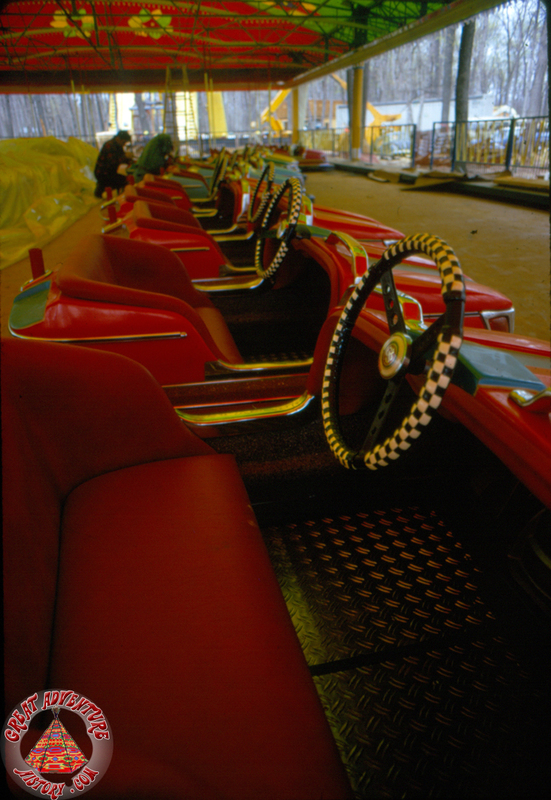 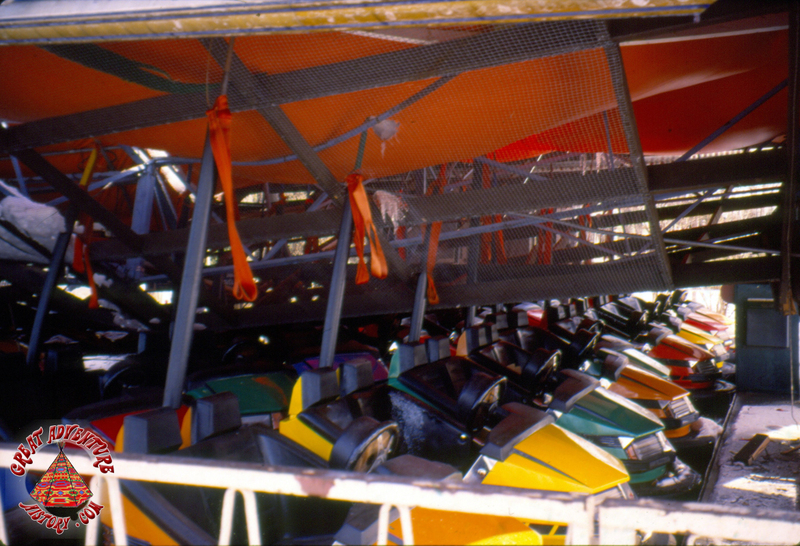 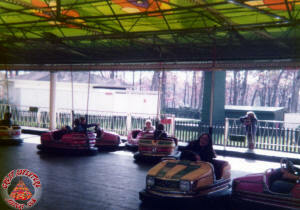 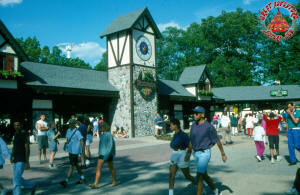 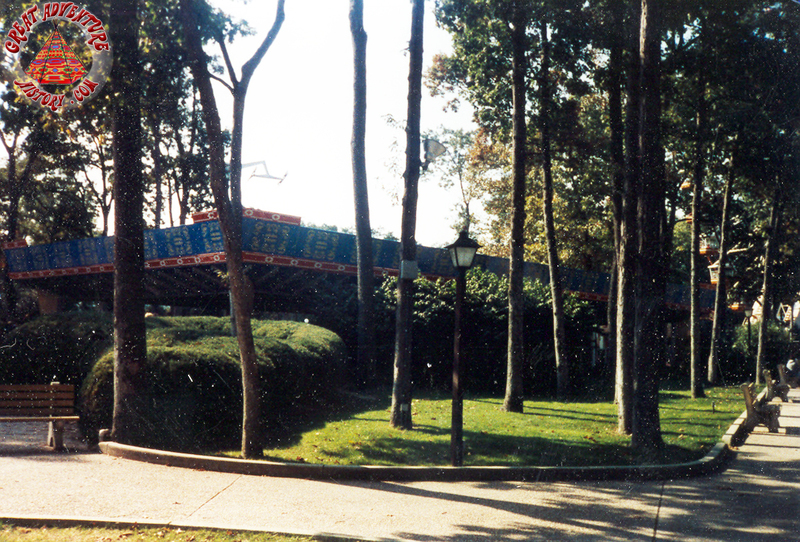 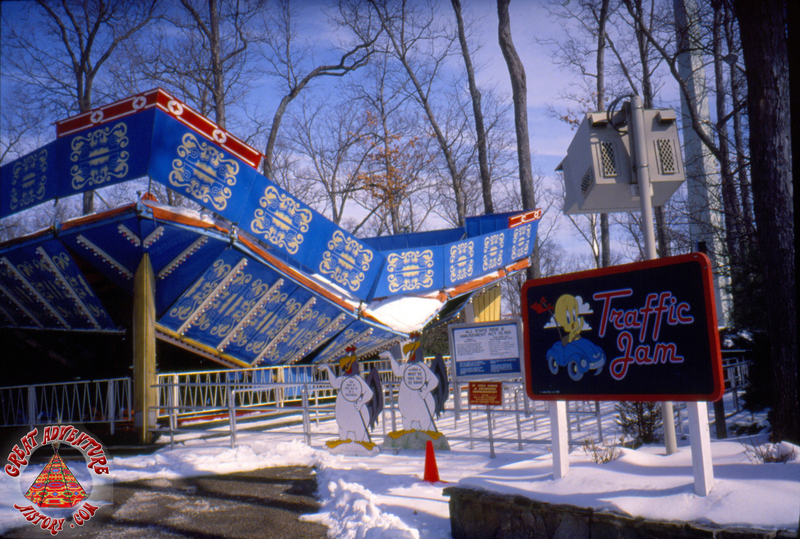 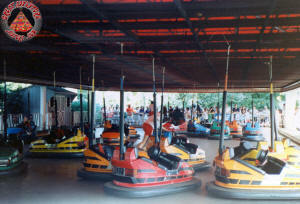 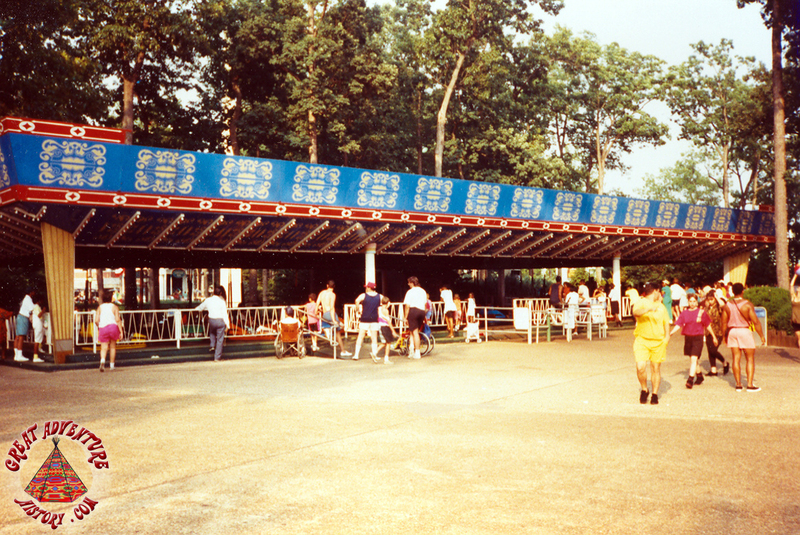 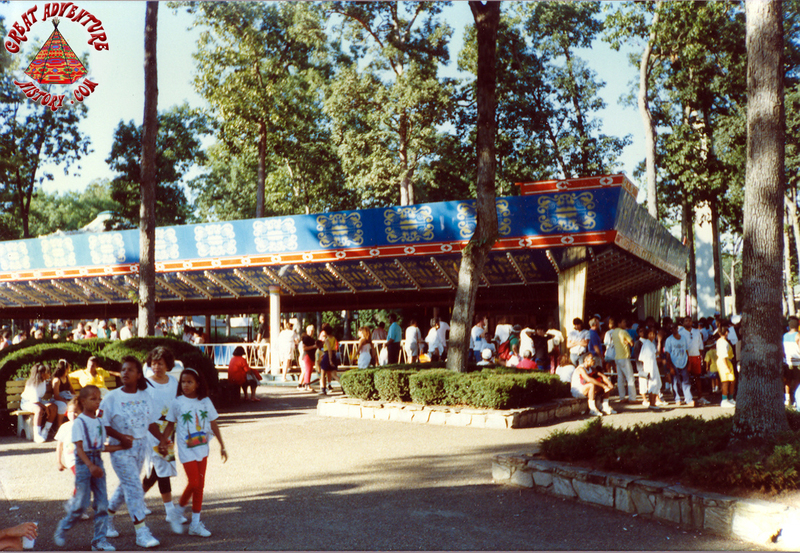 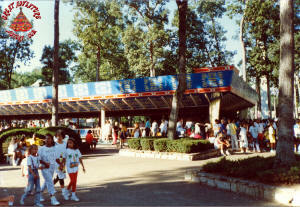 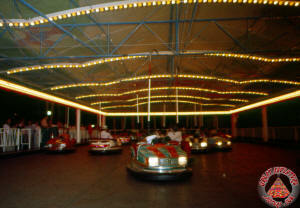 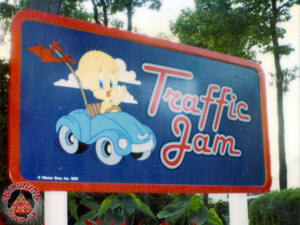 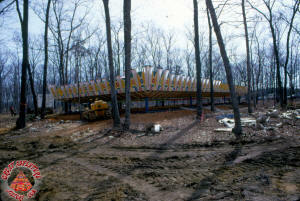 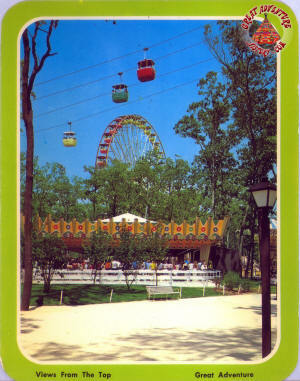 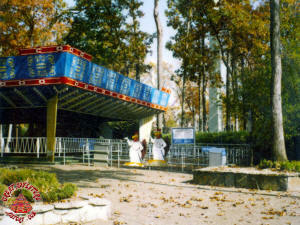 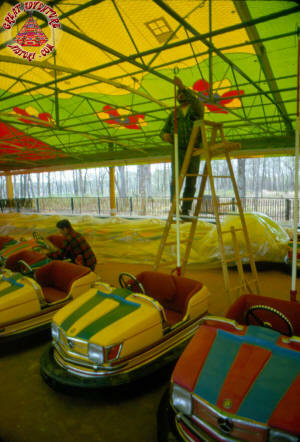 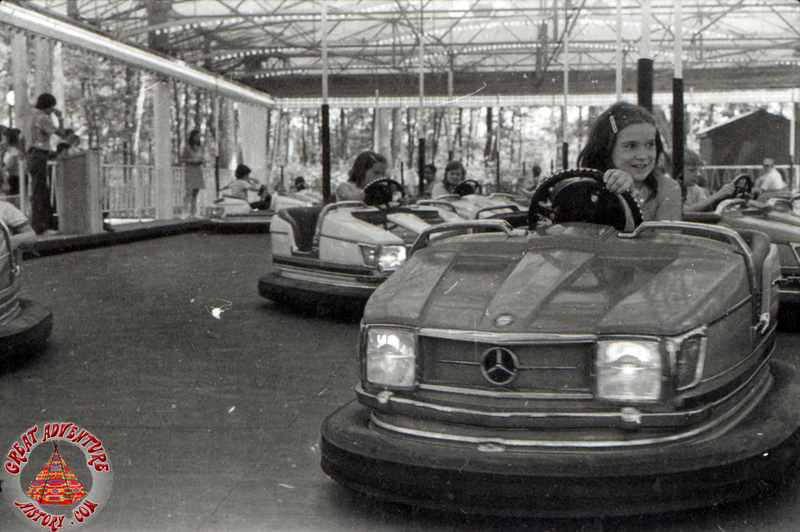 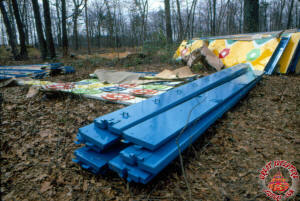 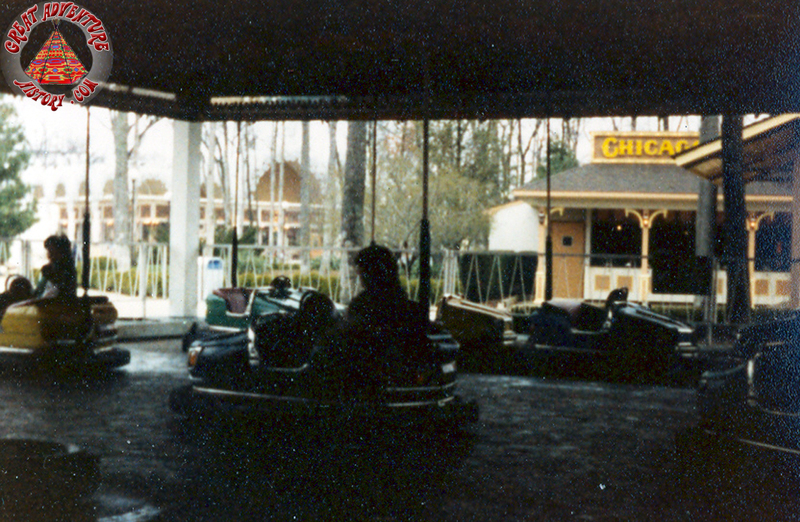 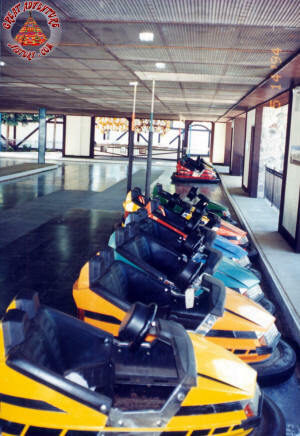 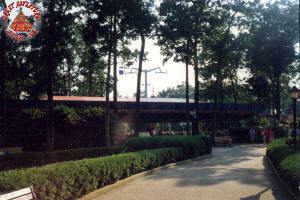 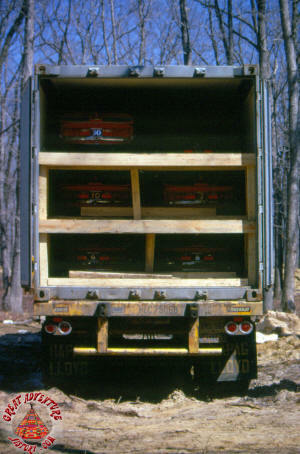 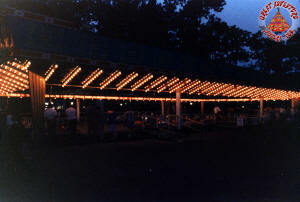 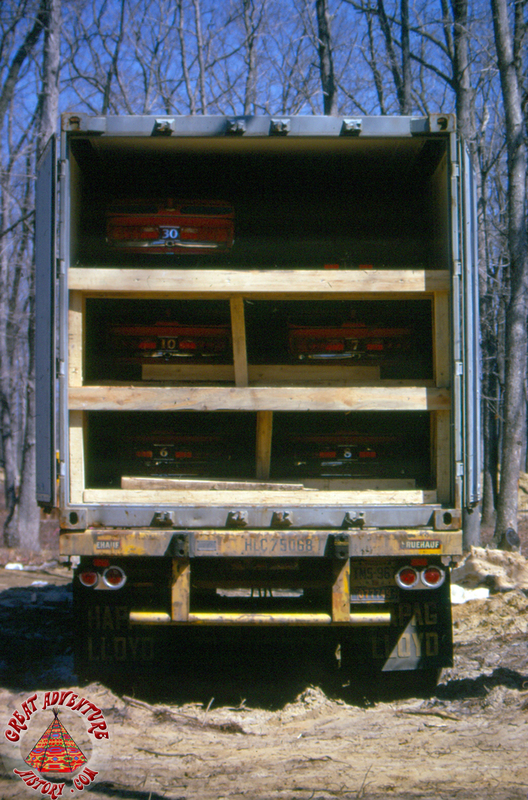 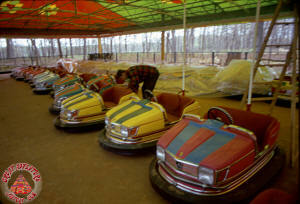 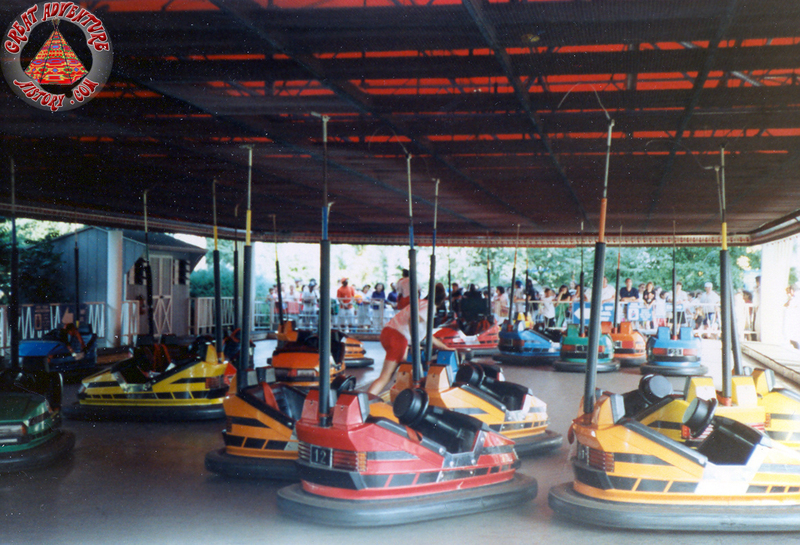 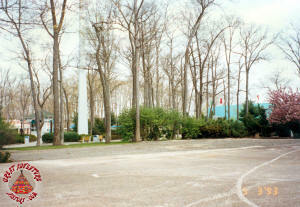 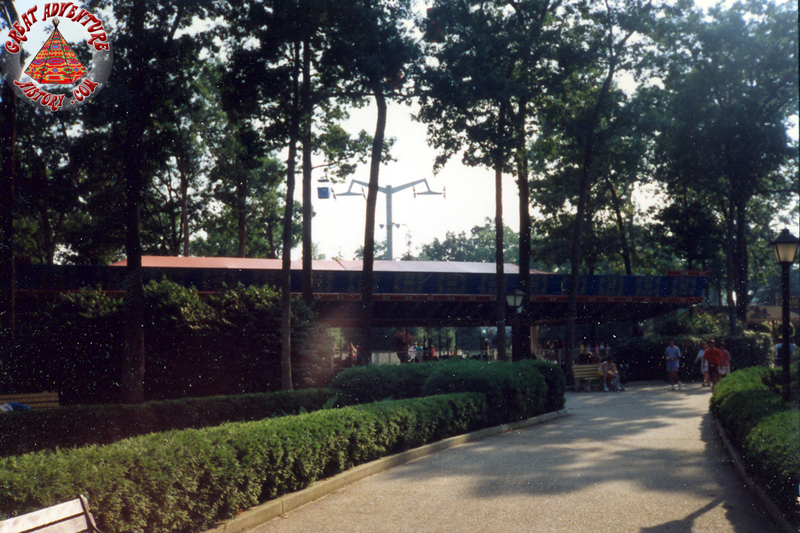 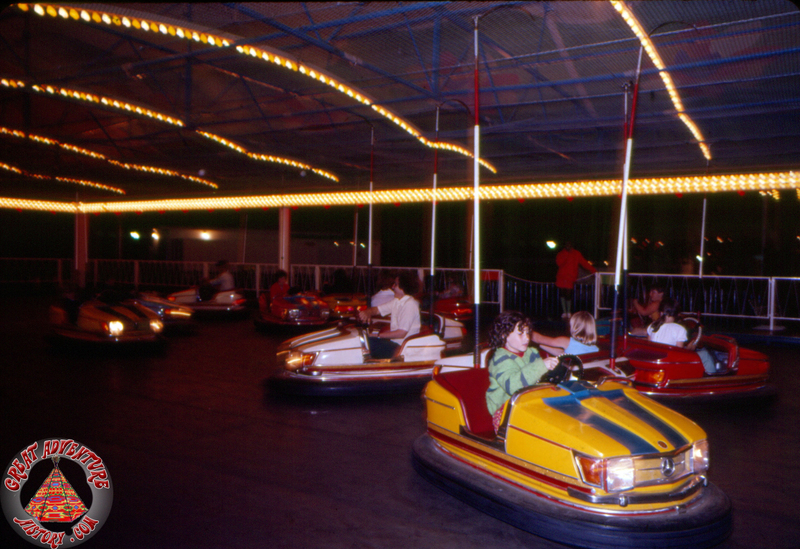 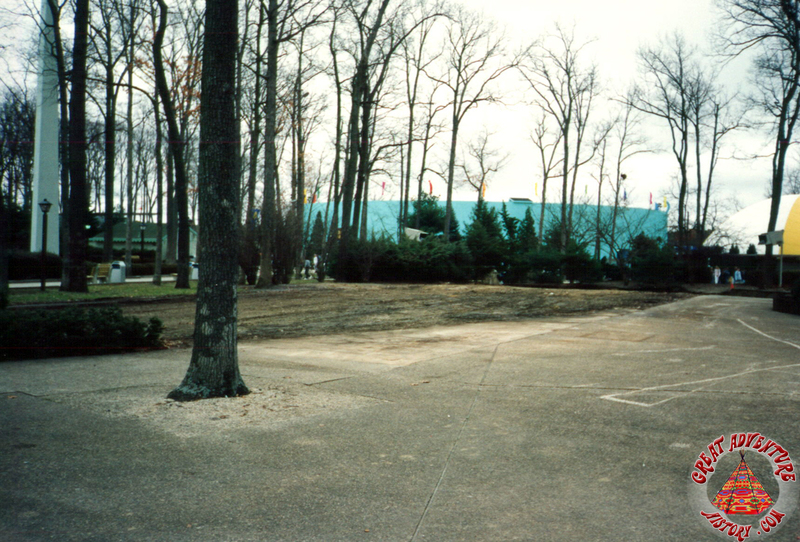 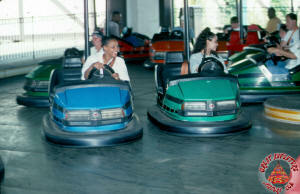 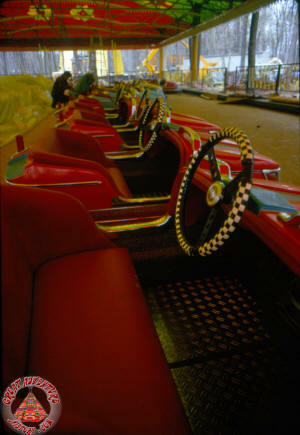 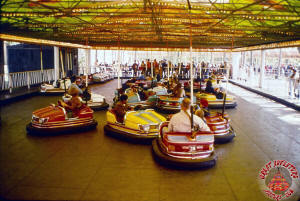 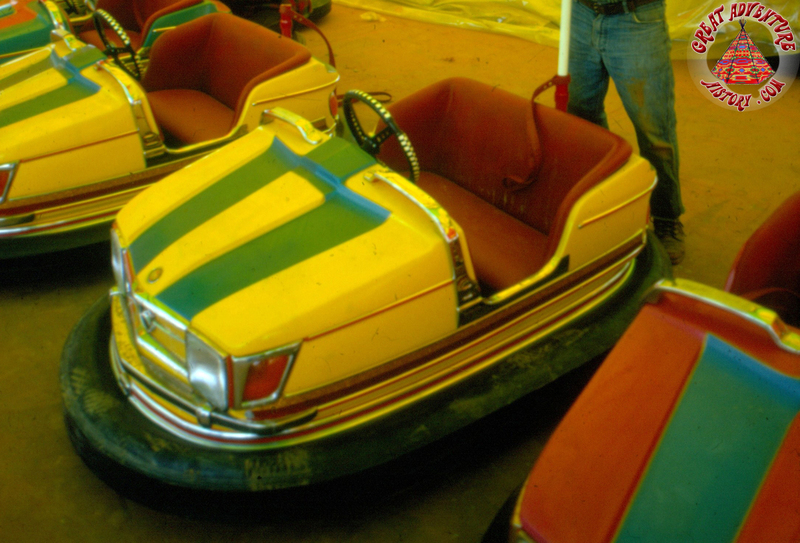 For the 1994 season the Traffic Jam cars were relocated to a new bumper car building built in the Old Country area of the park, known as Autobahn. 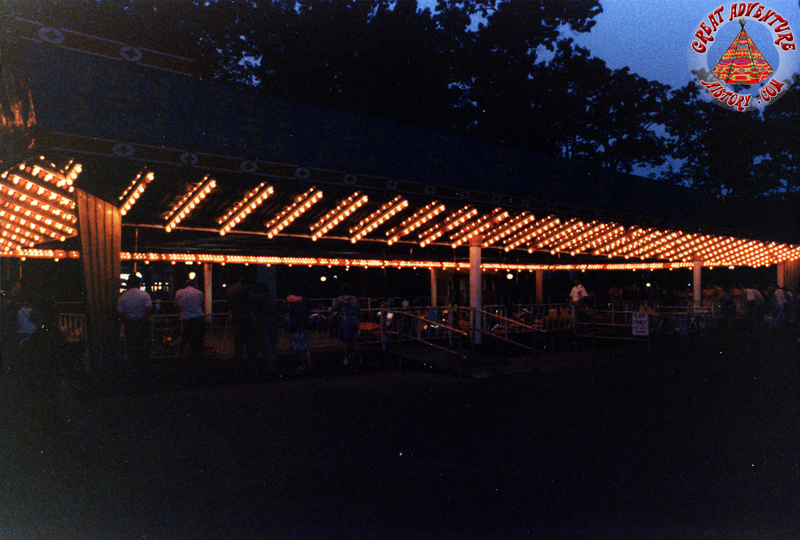 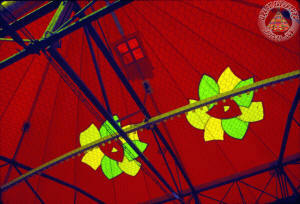 Original Spotlight: August 2, 2009. 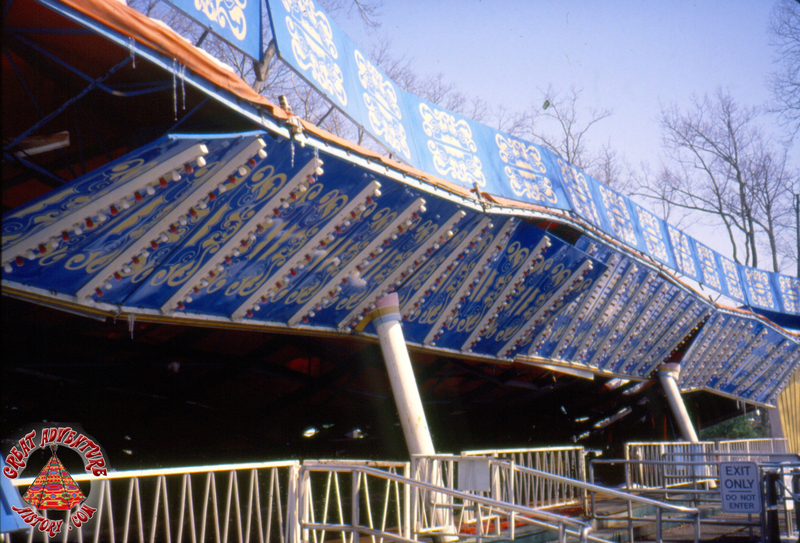 Updated: March 7, 2015; September 13, 2017. 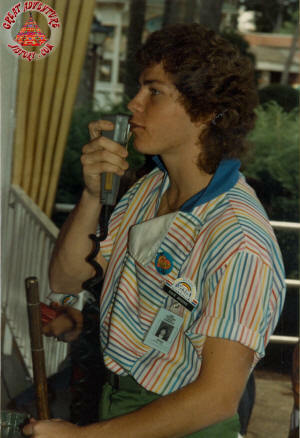 GAH Reference #: RIDE-1974-009.